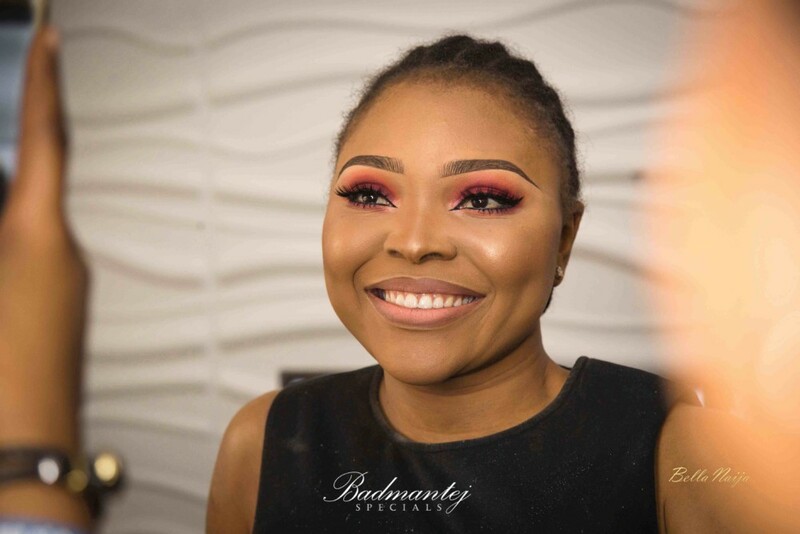 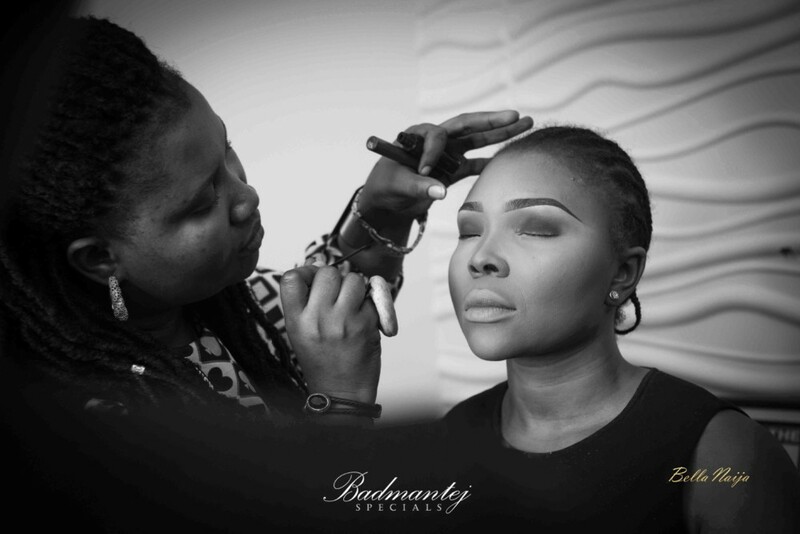 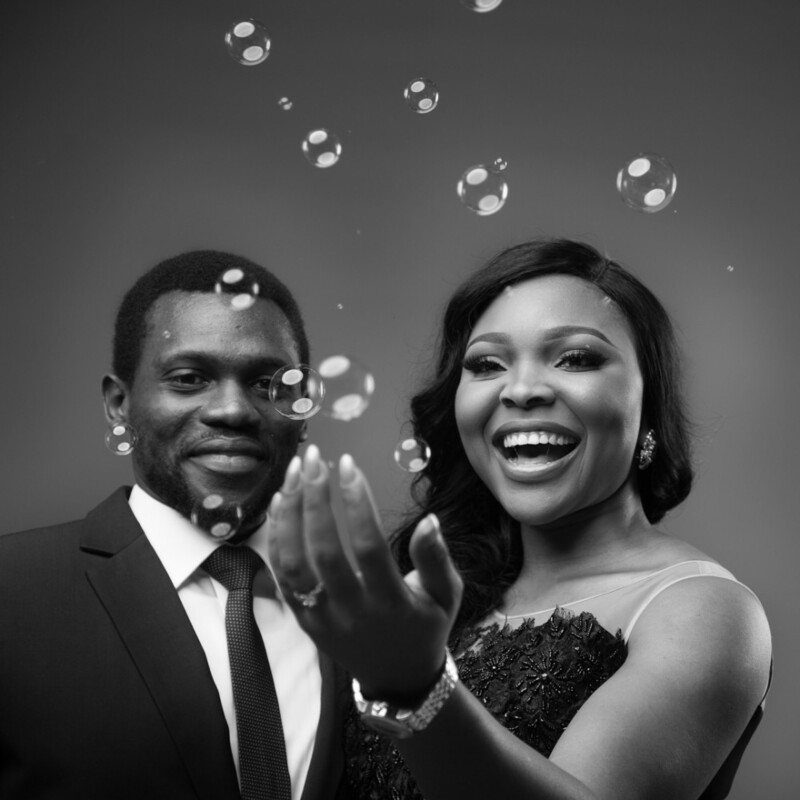 Boma met her sweetheart Olusoji on a rehearsal session for a musical production. 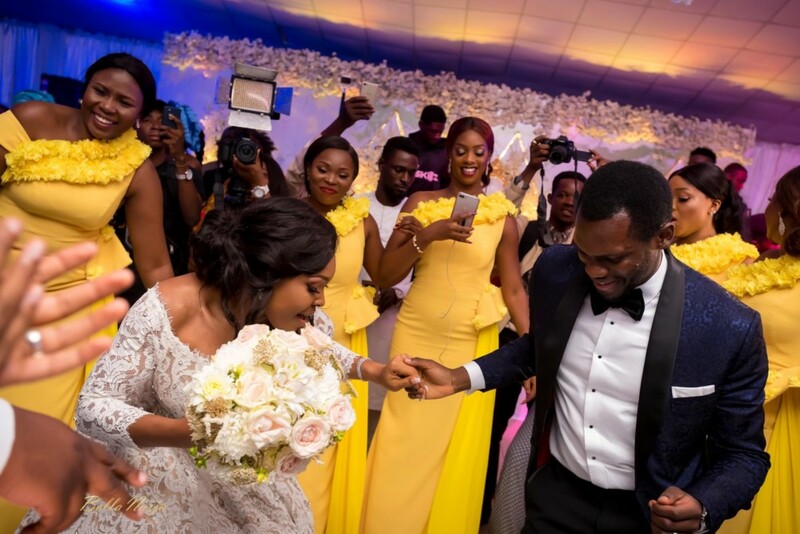 The couple related together for a while though on work basis and that built the foundation of their friendship which later blossomed into a relationship between the two. 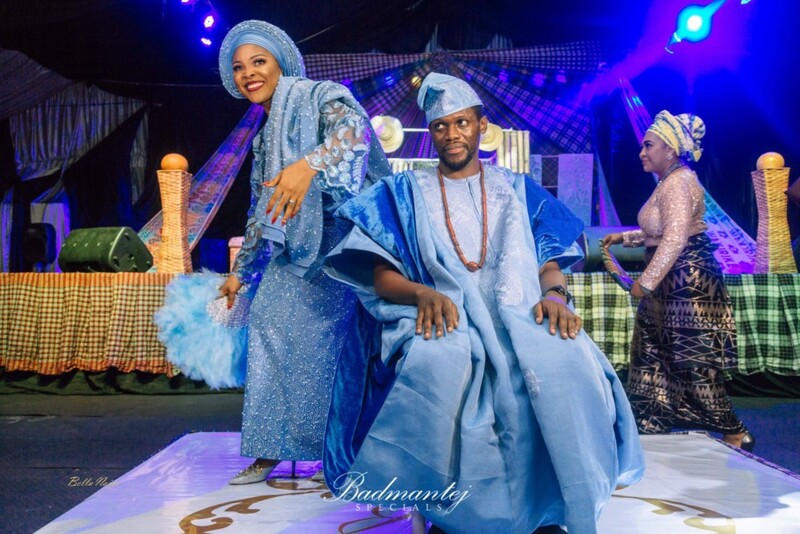 The bride says I met my husband on the stage of the heartbeat, the musical, and that’s why I call him my heartbeat and he has been nothing short of that. 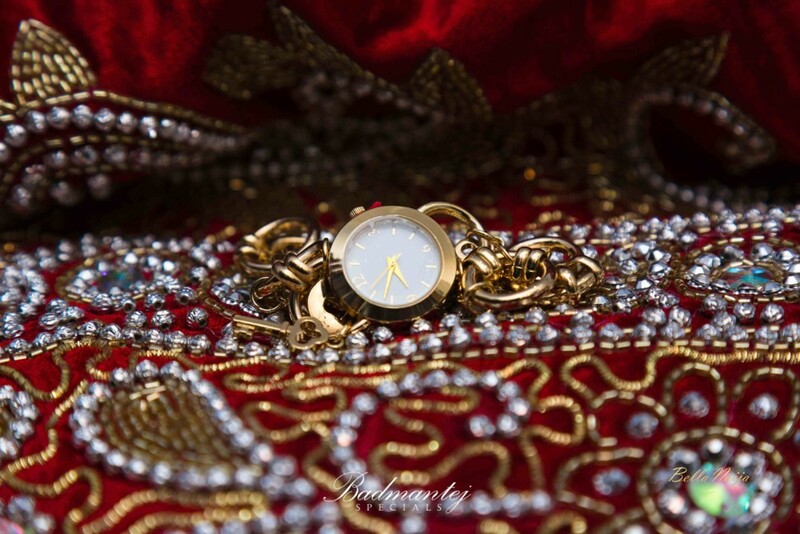 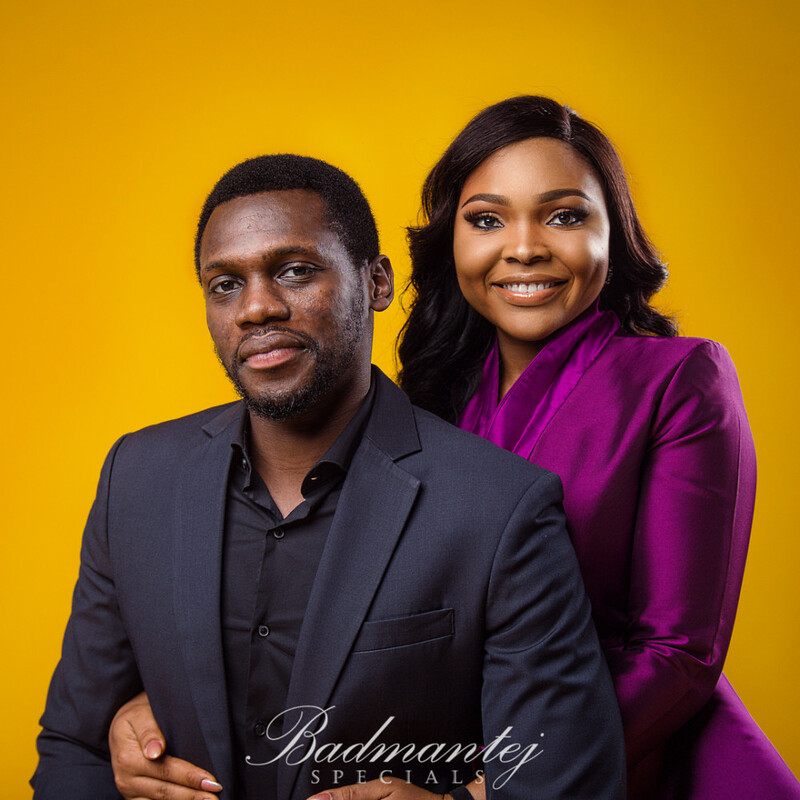 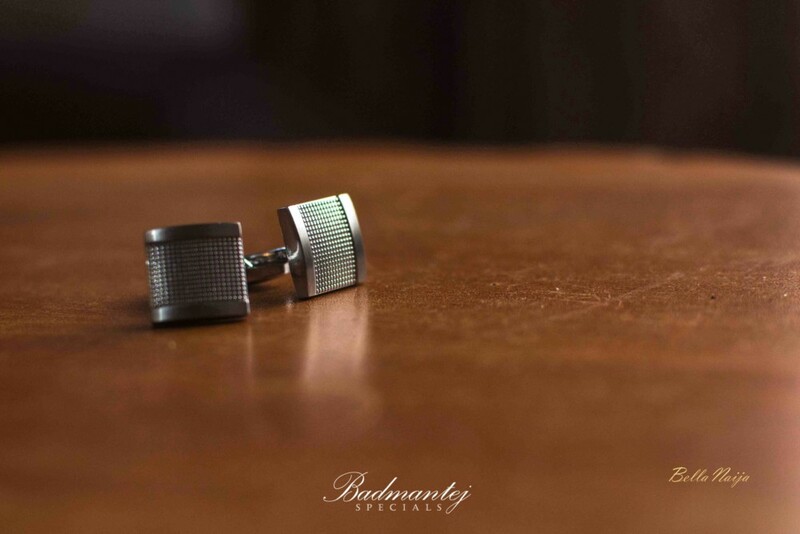 Click here to see their full pre-wedding shoot. 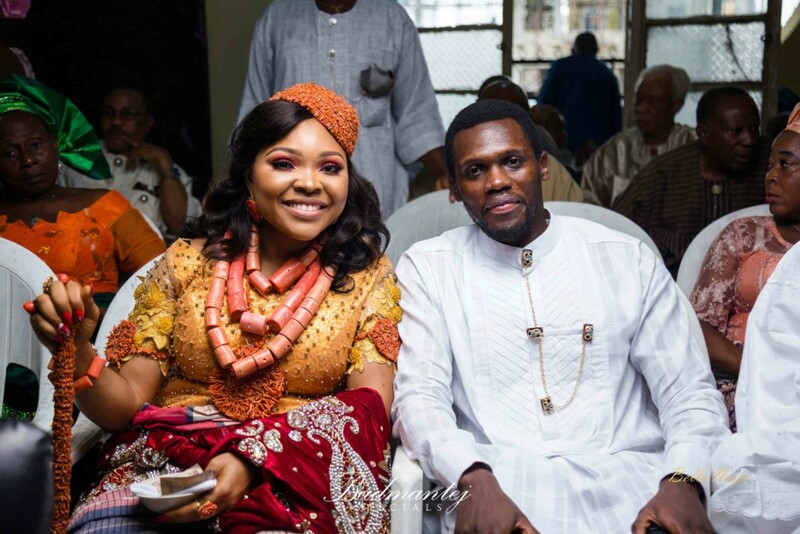 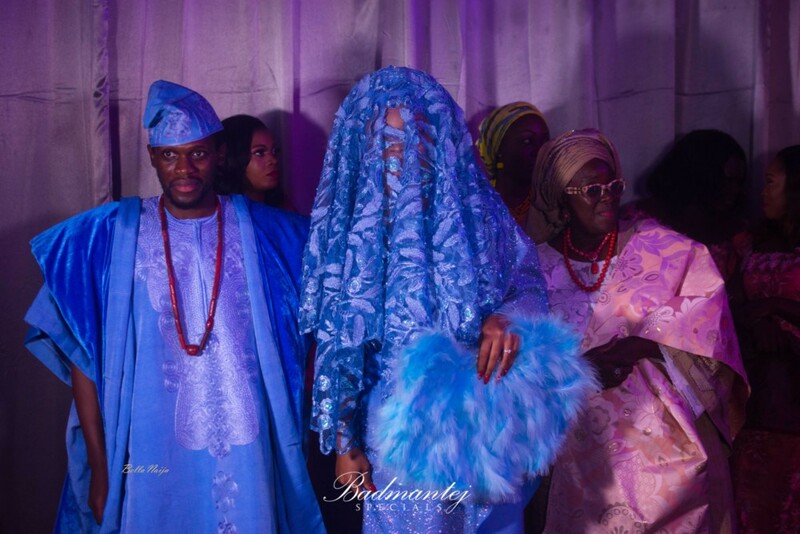 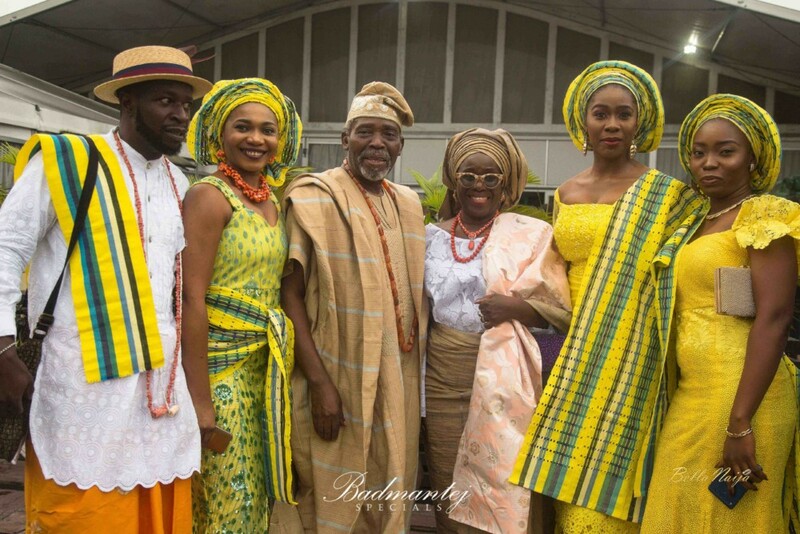 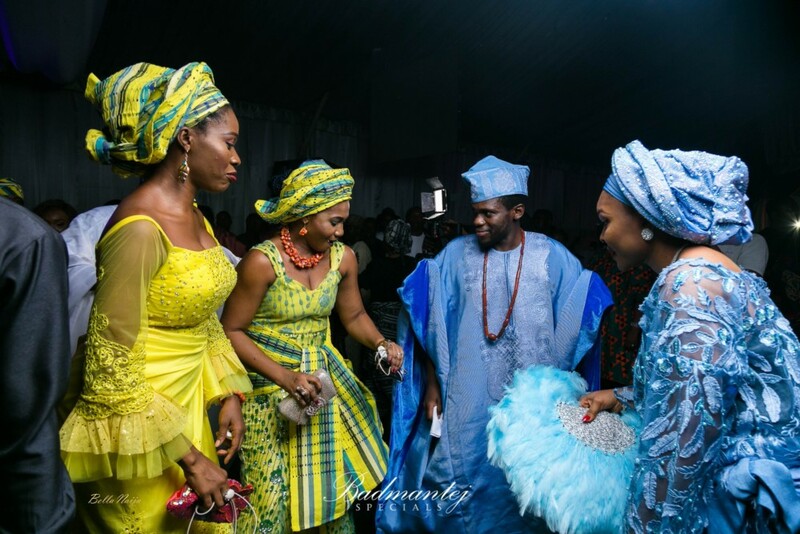 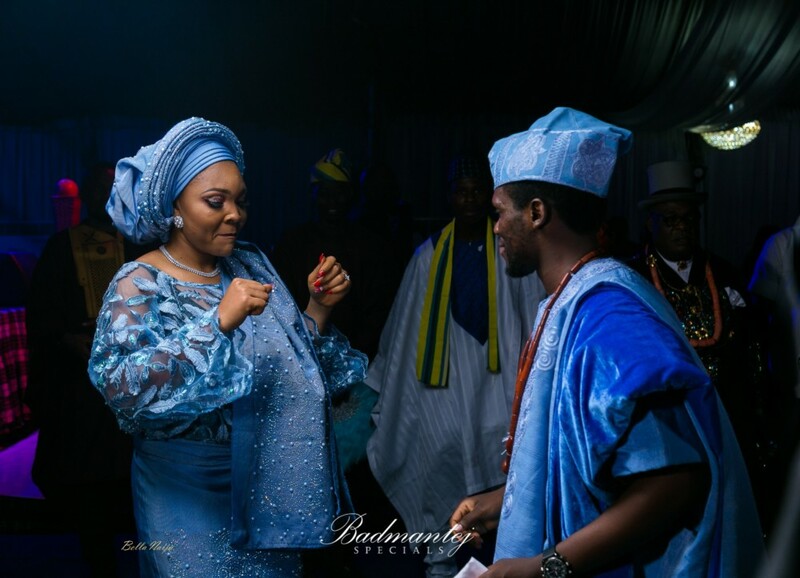 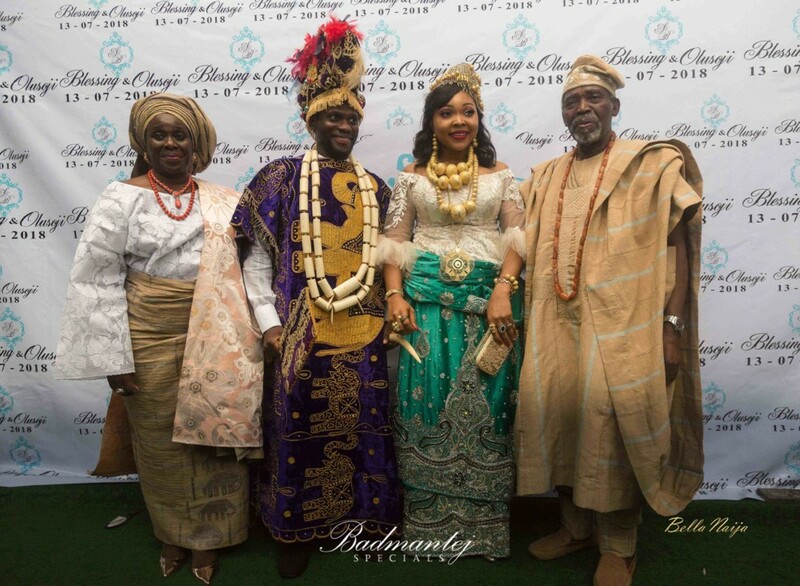 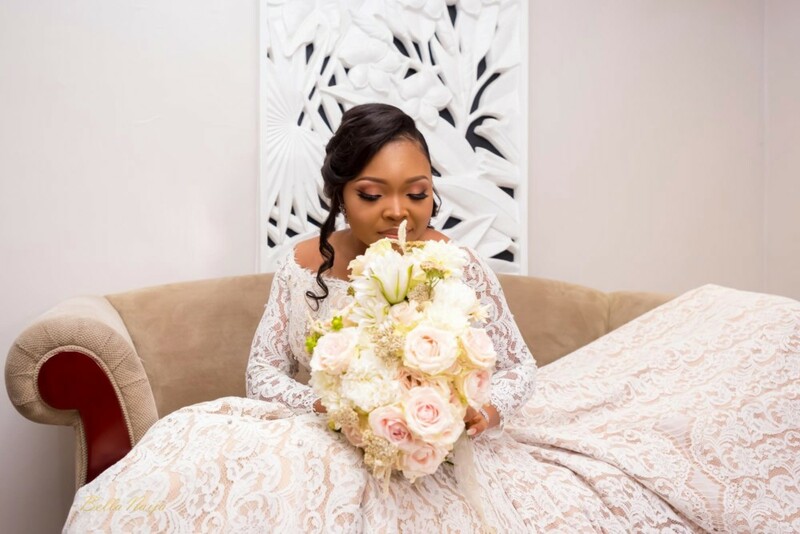 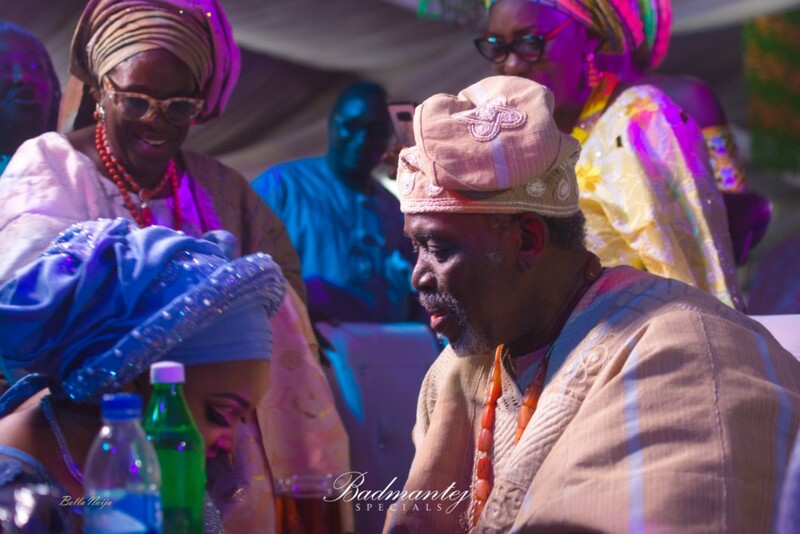 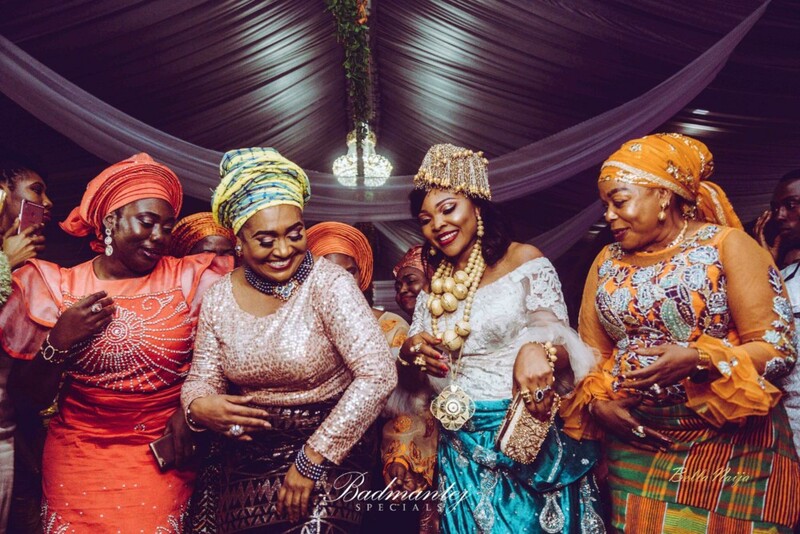 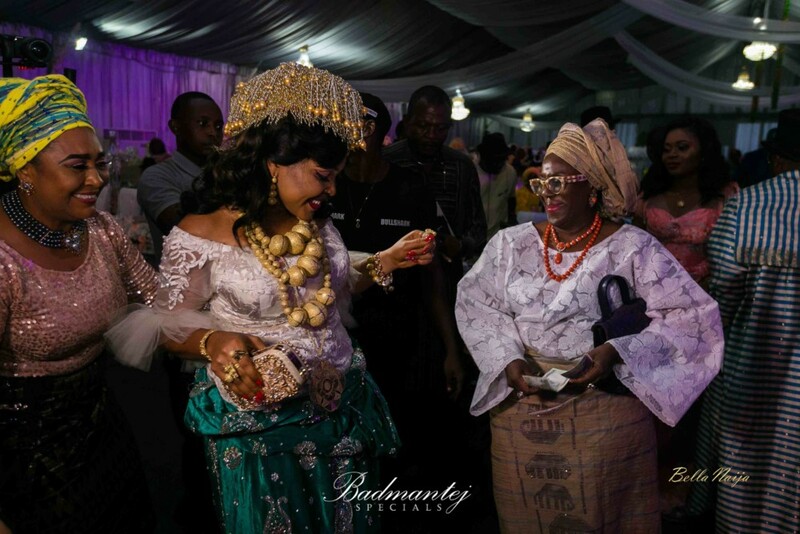 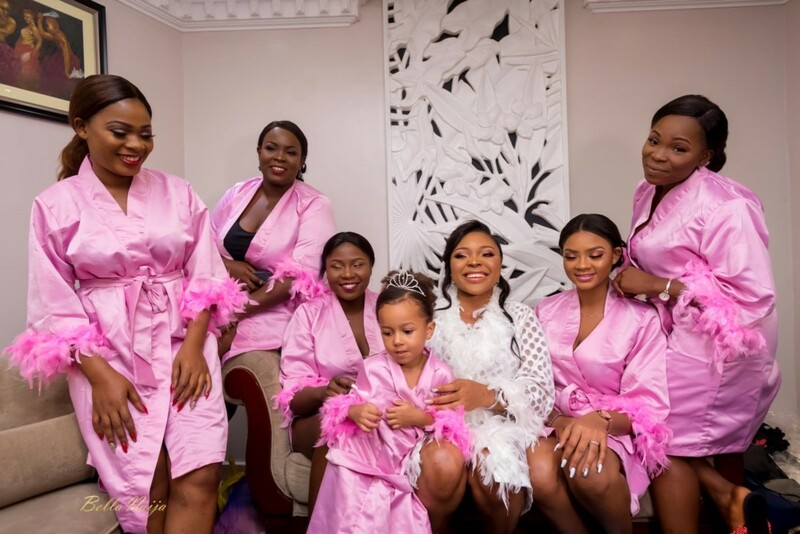 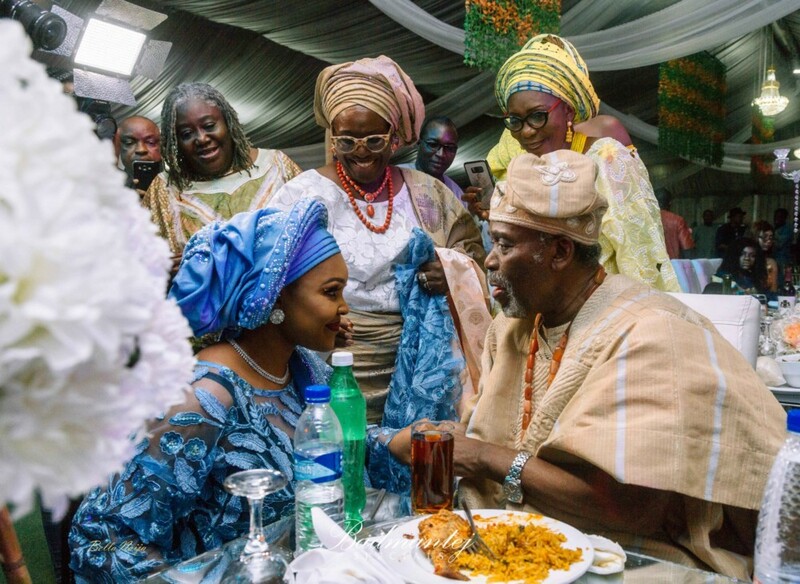 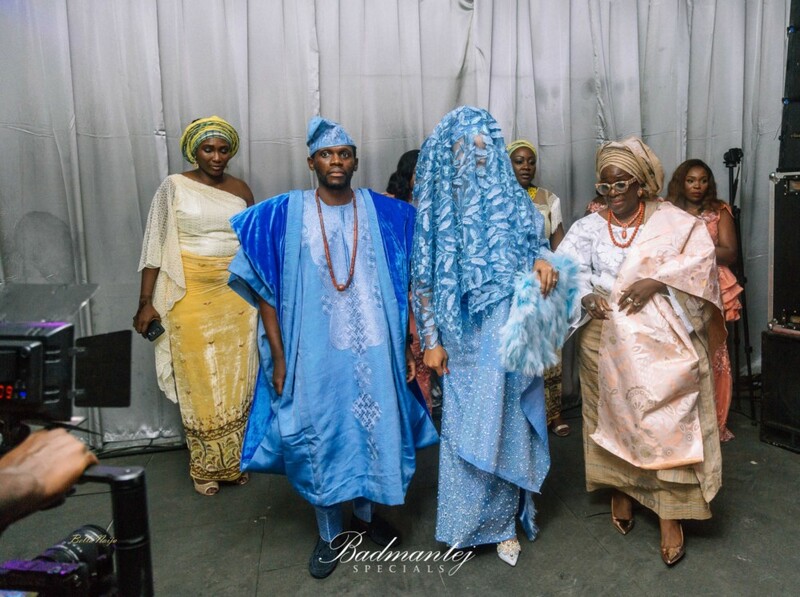 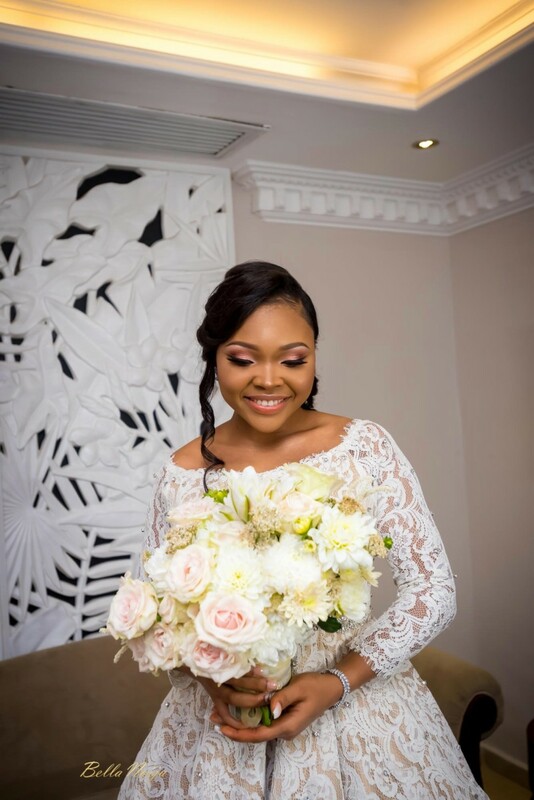 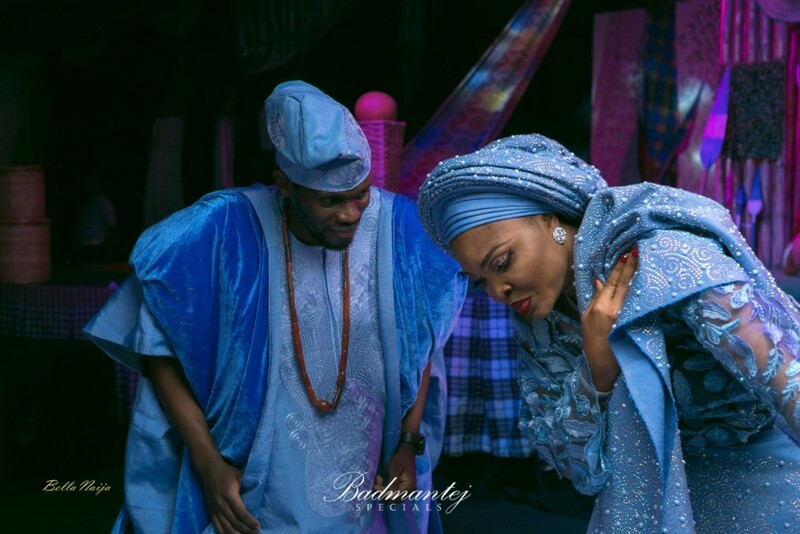 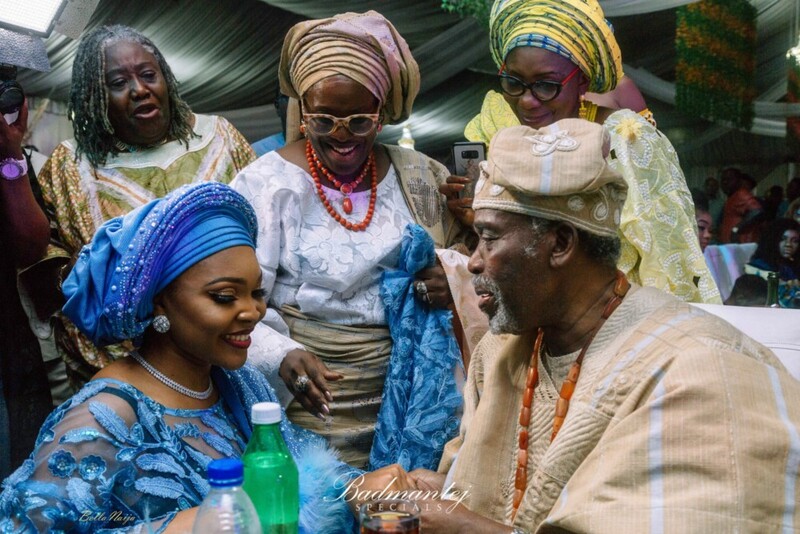 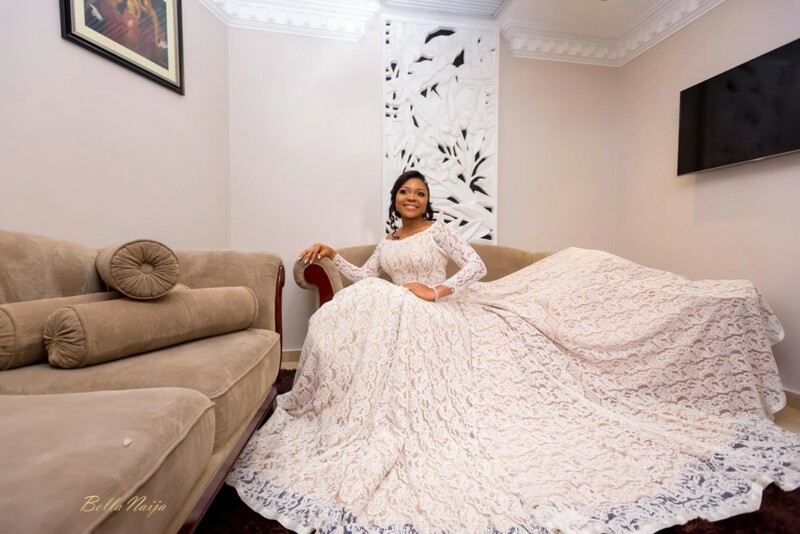 The groom, who is the son of Veteran actors, Olu Jacobs and Ajoke Silva, took his bride from the Southern region of Nigeria. 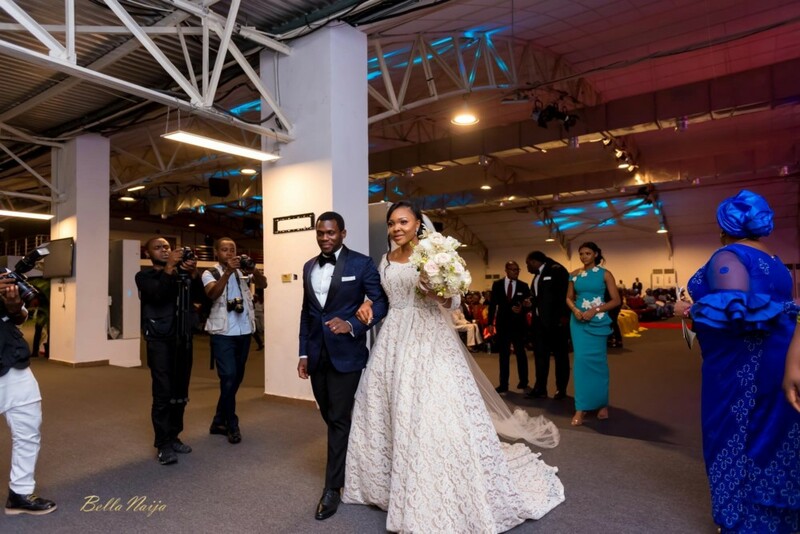 Their white wedding was held in Lagos. 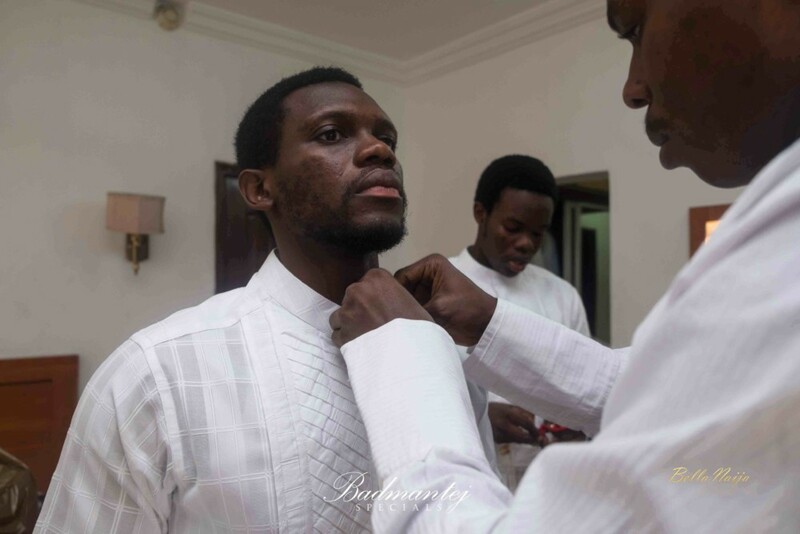 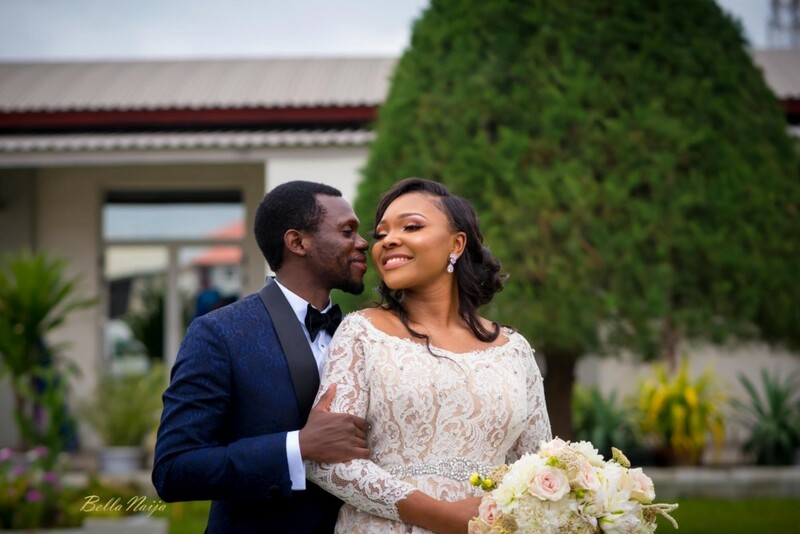 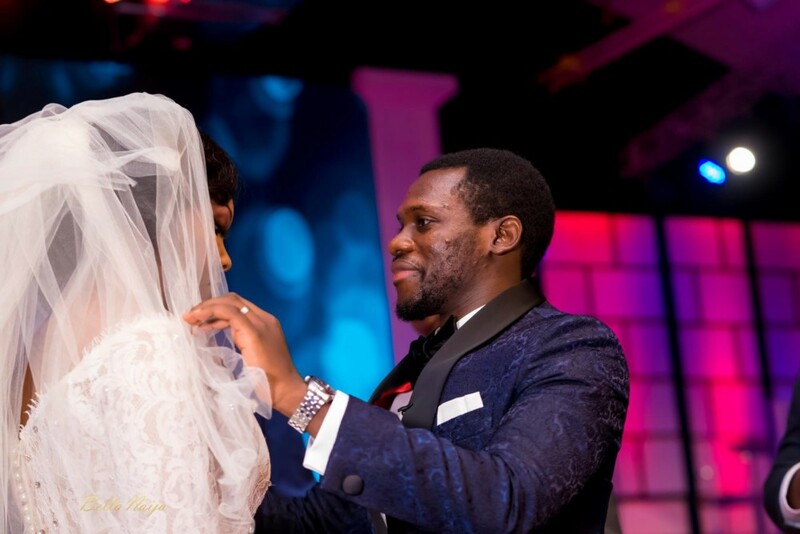 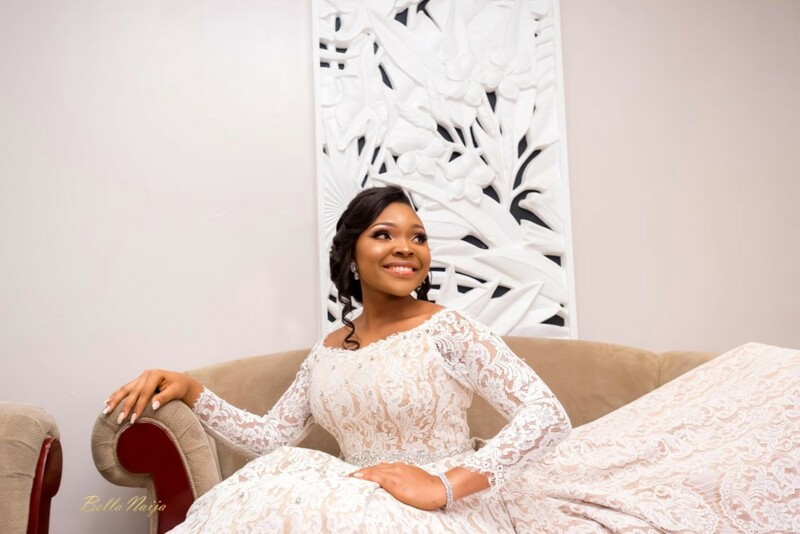 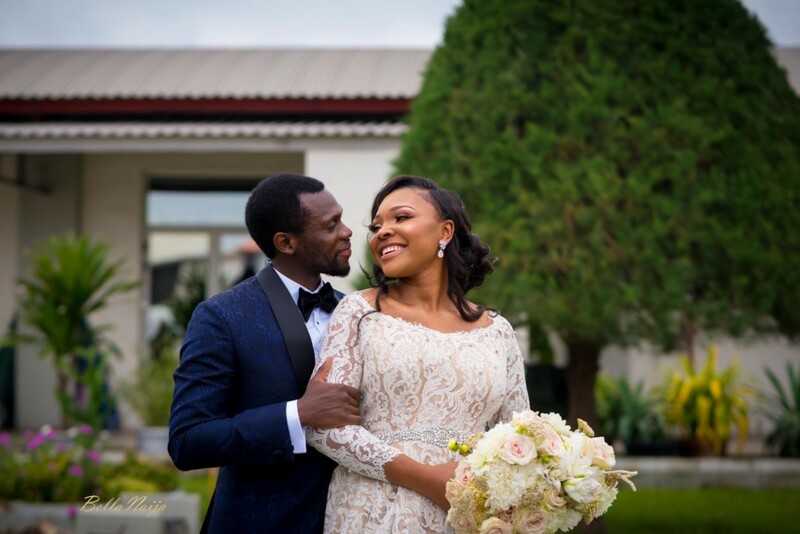 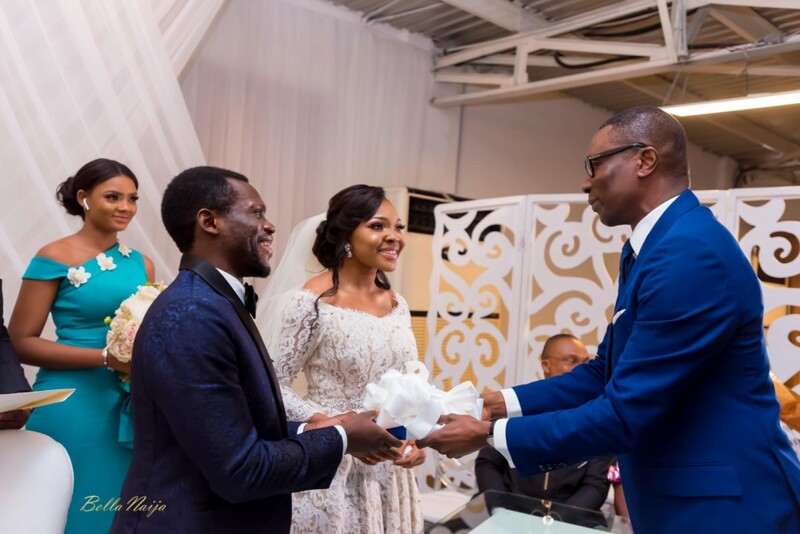 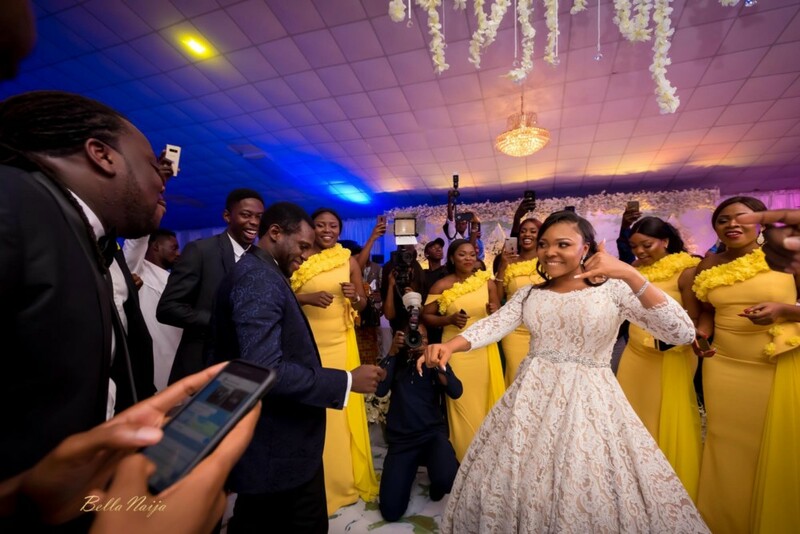 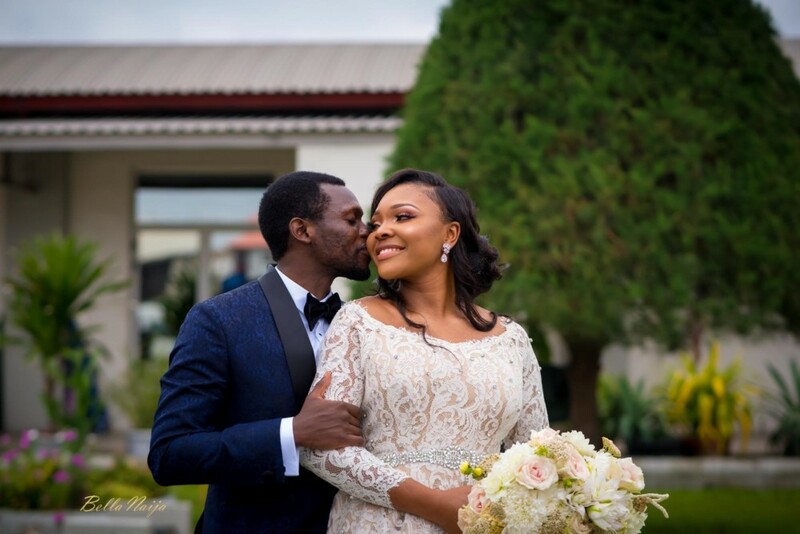 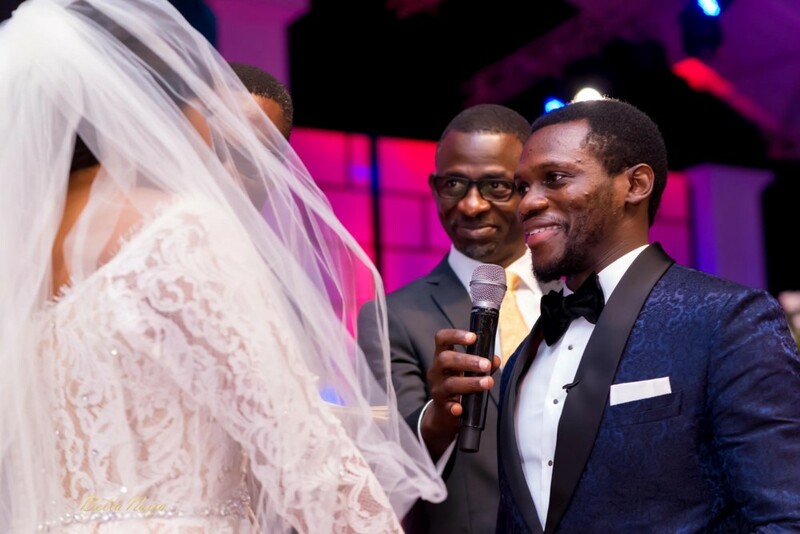 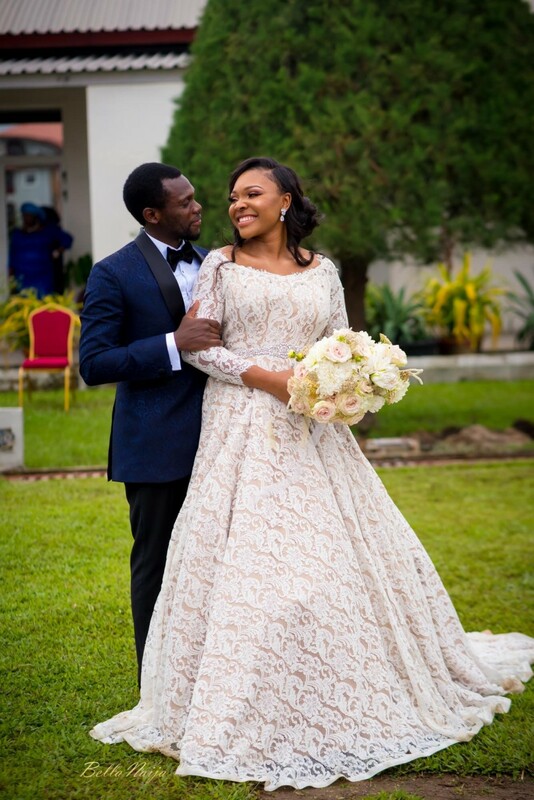 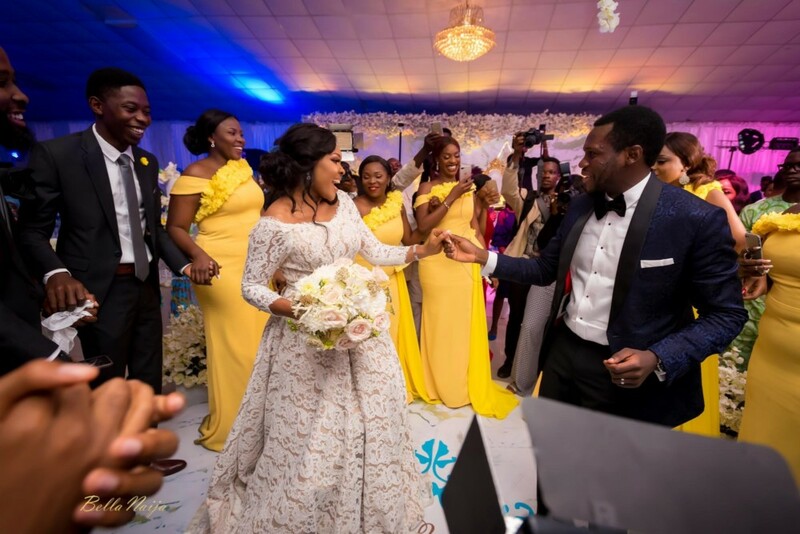 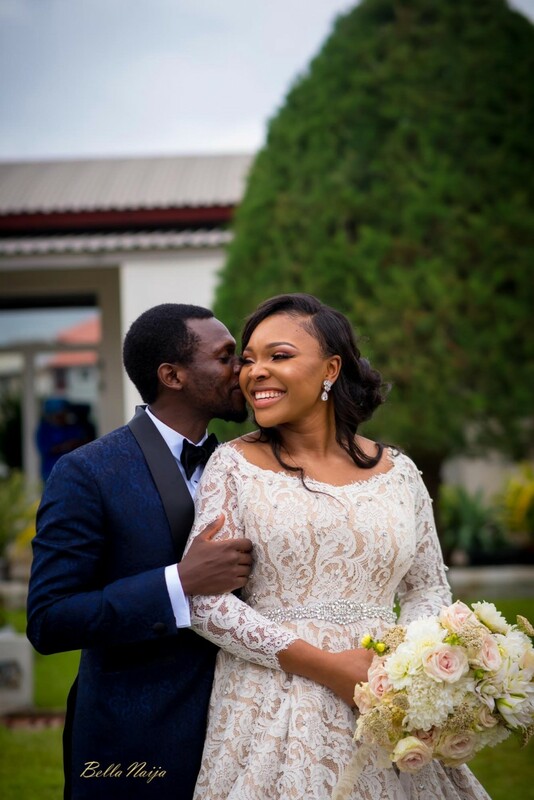 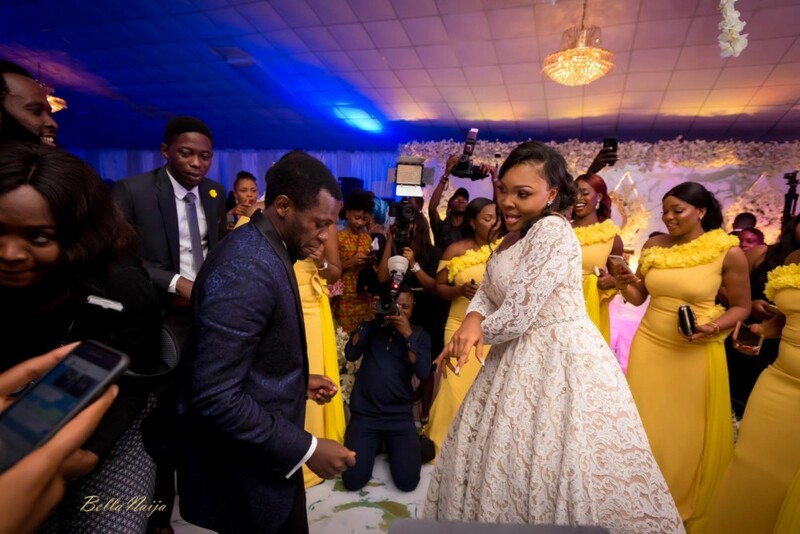 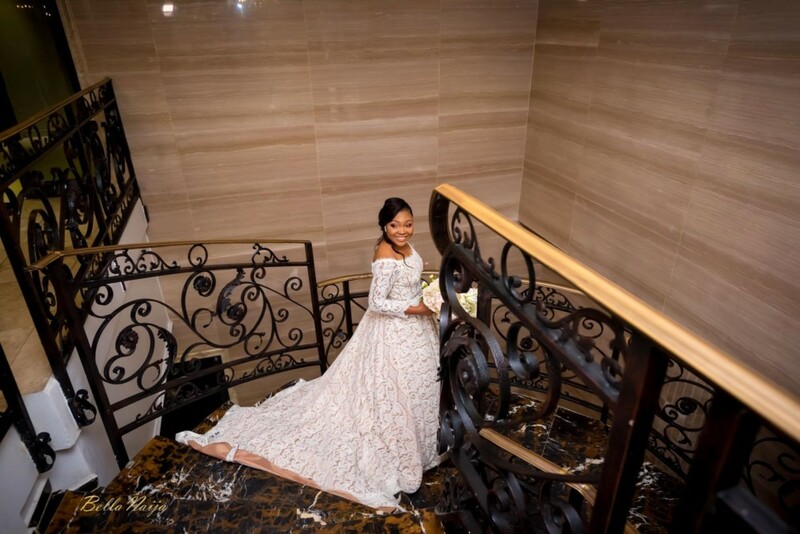 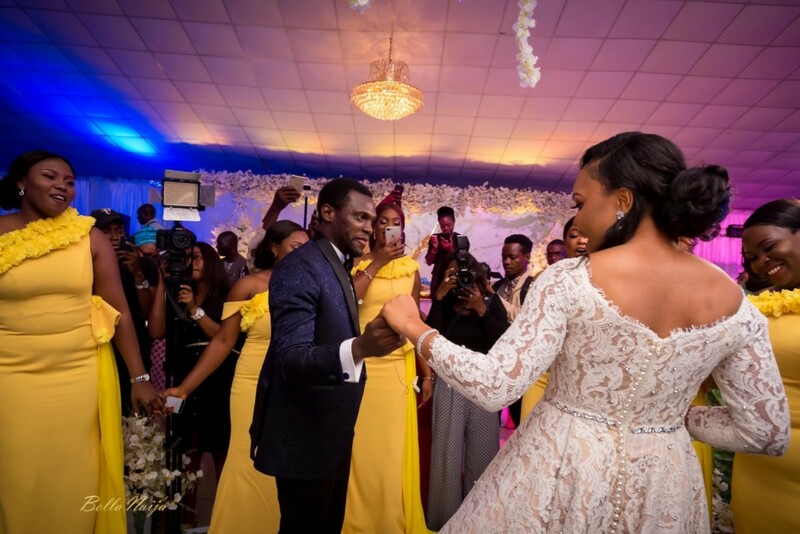 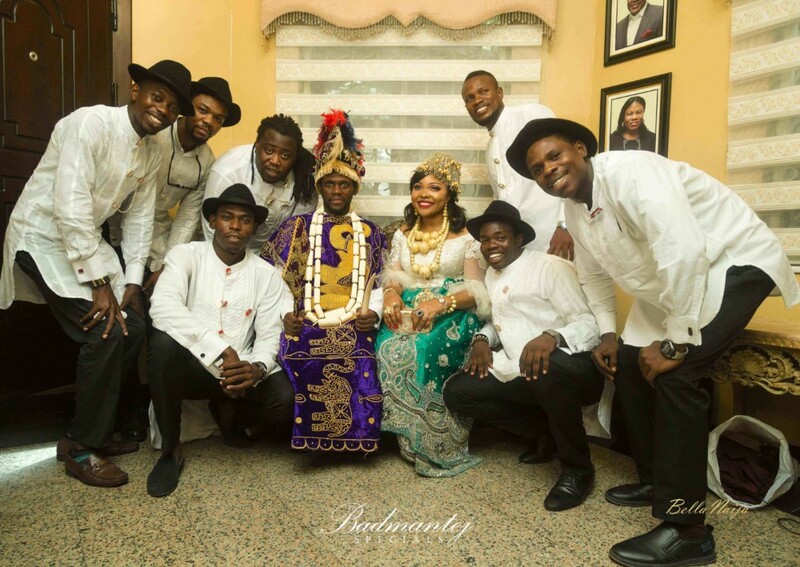 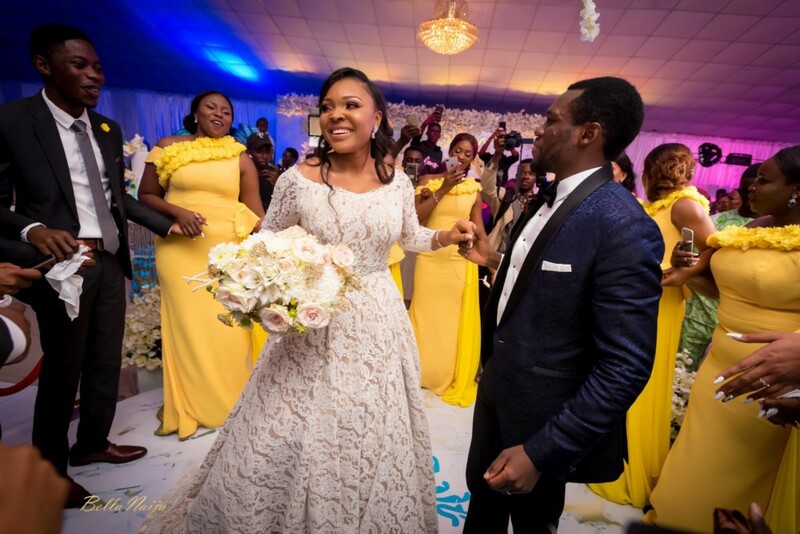 The couple tied the knot at This Present House, Lagos and were joined together by Pastor Tony Rapu. 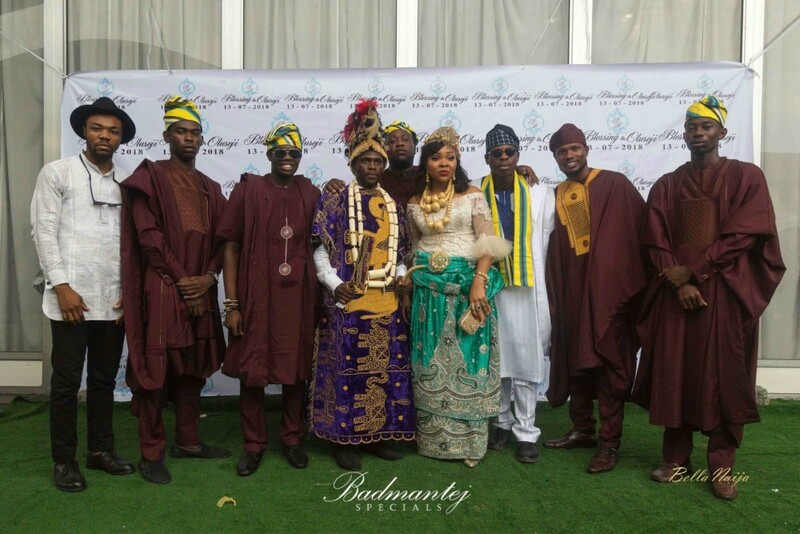 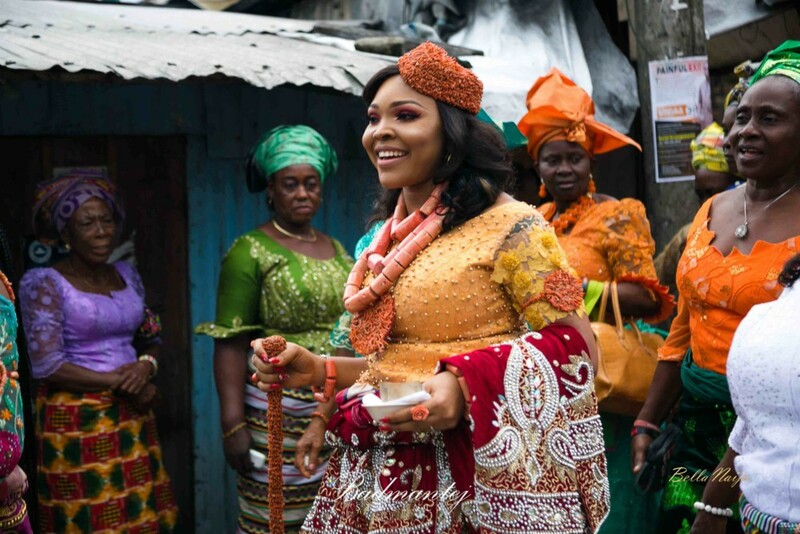 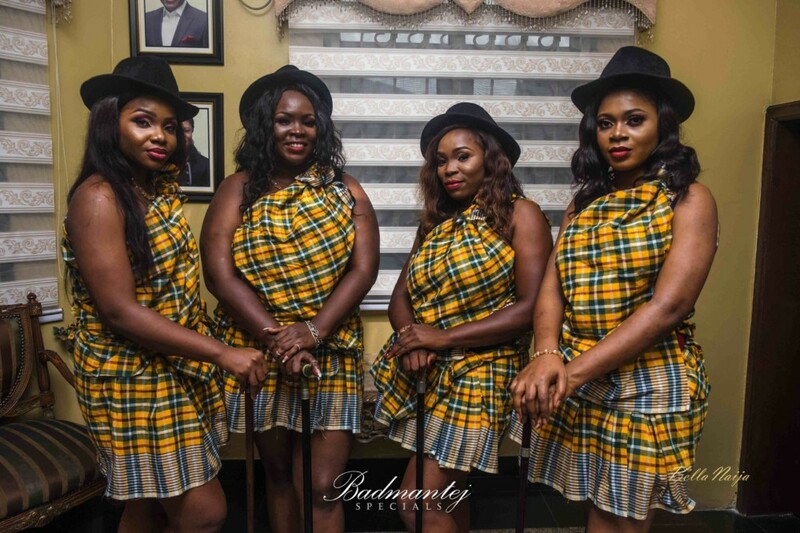 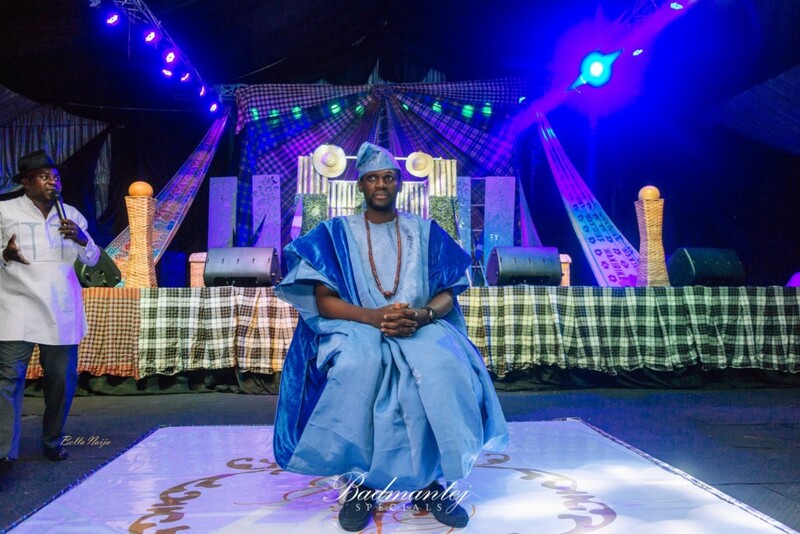 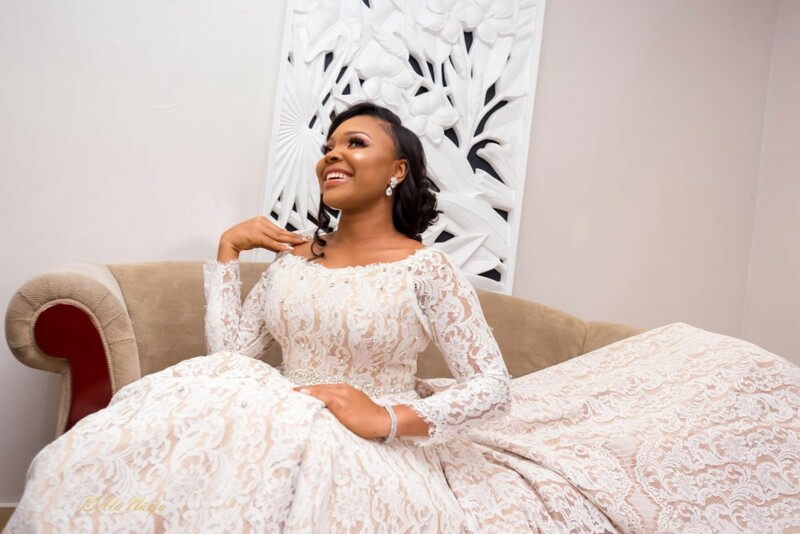 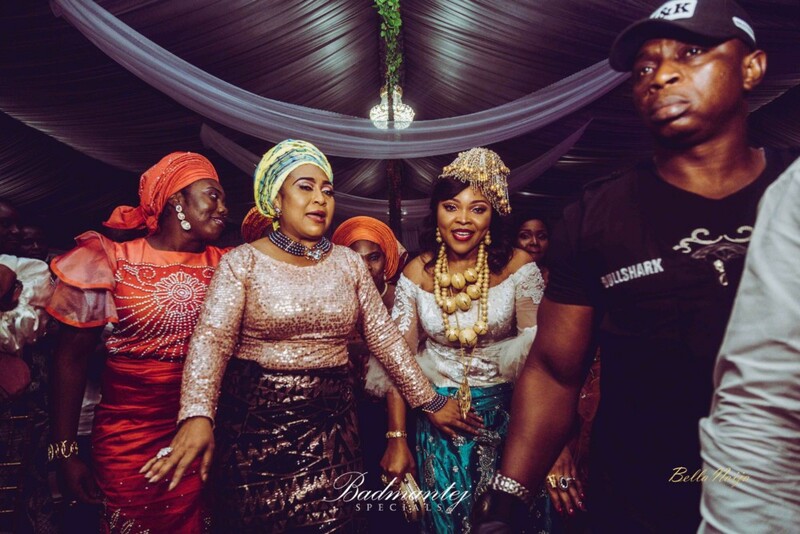 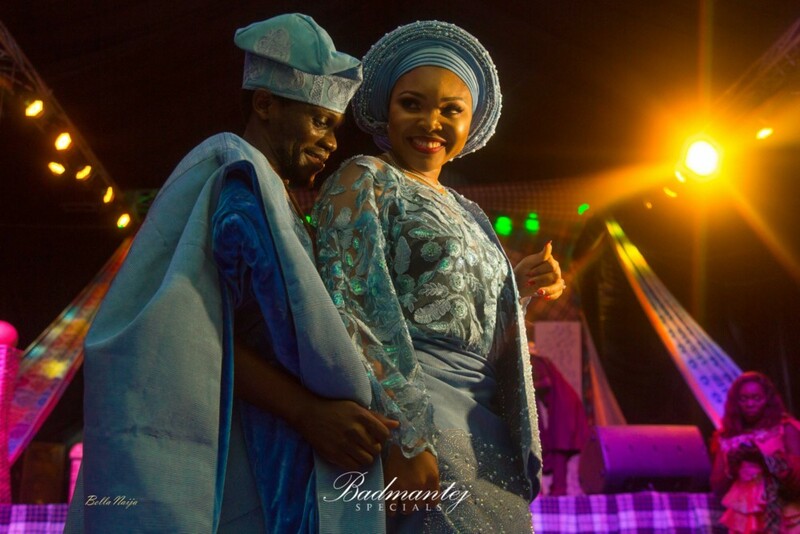 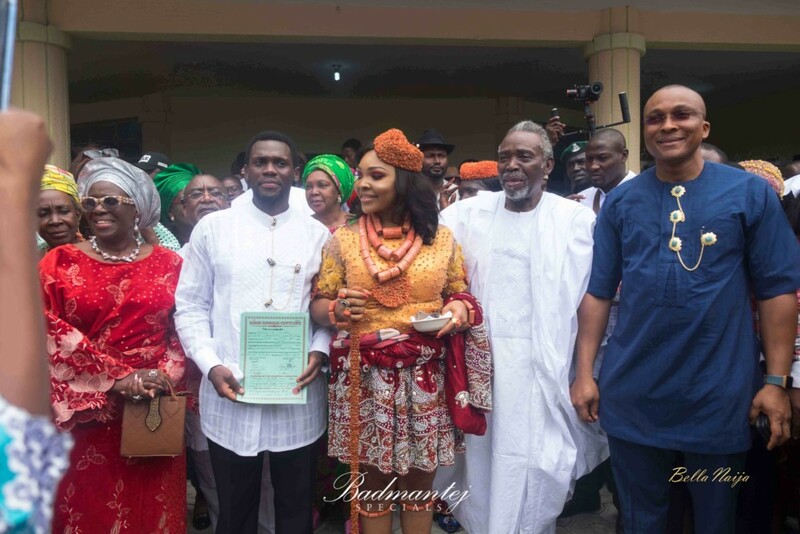 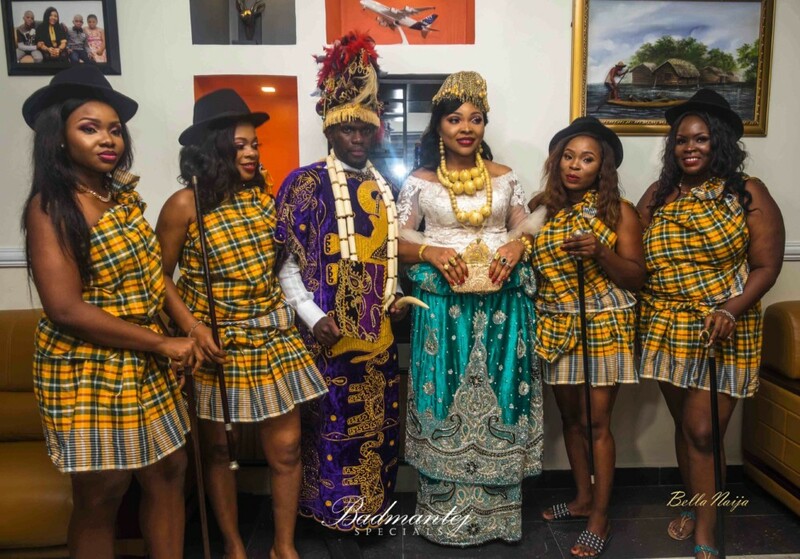 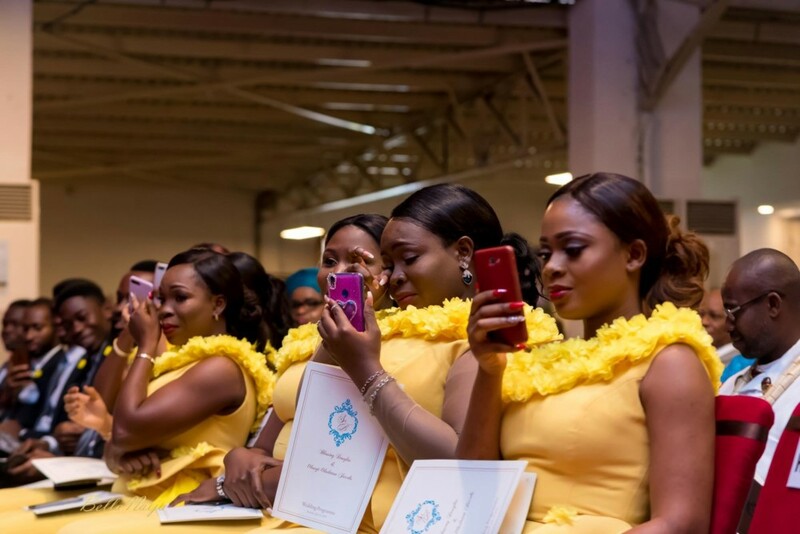 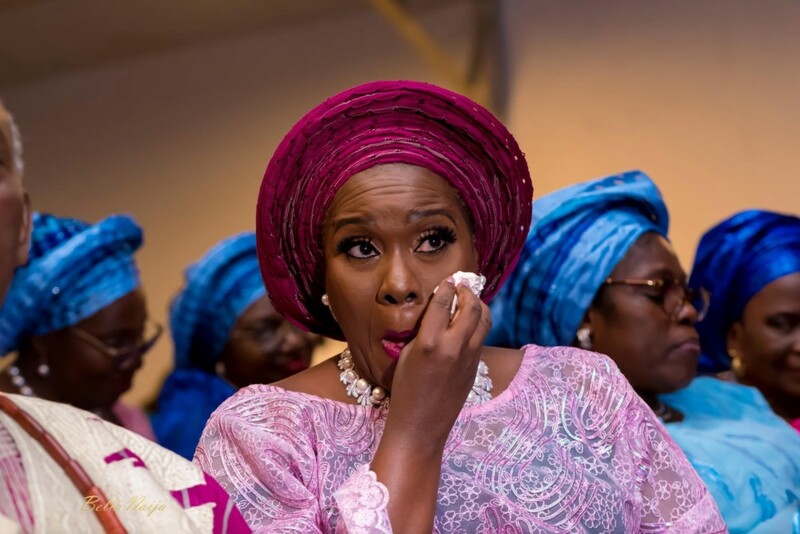 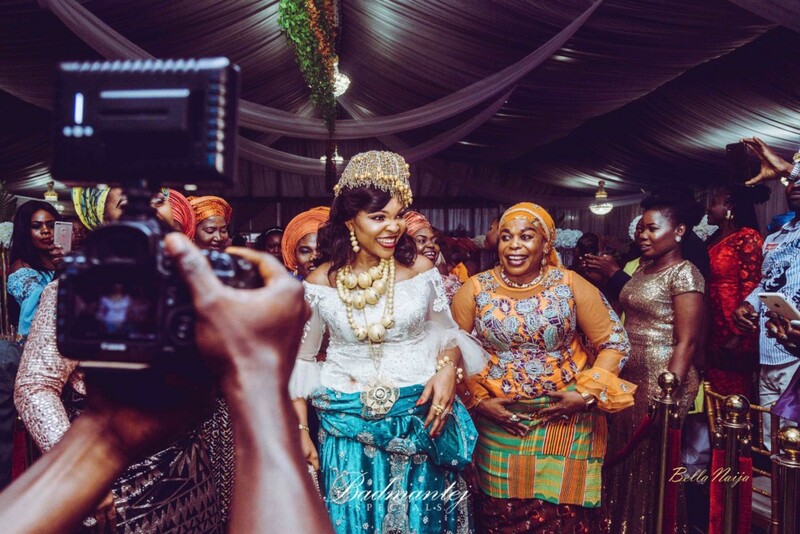 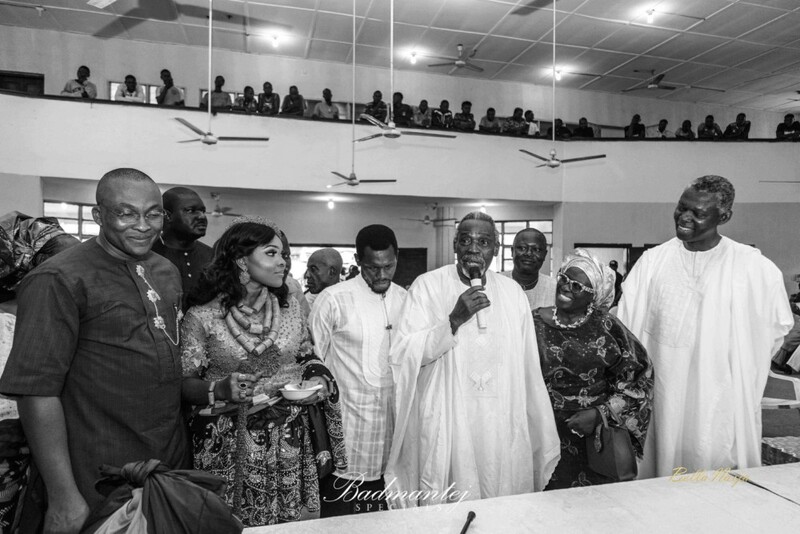 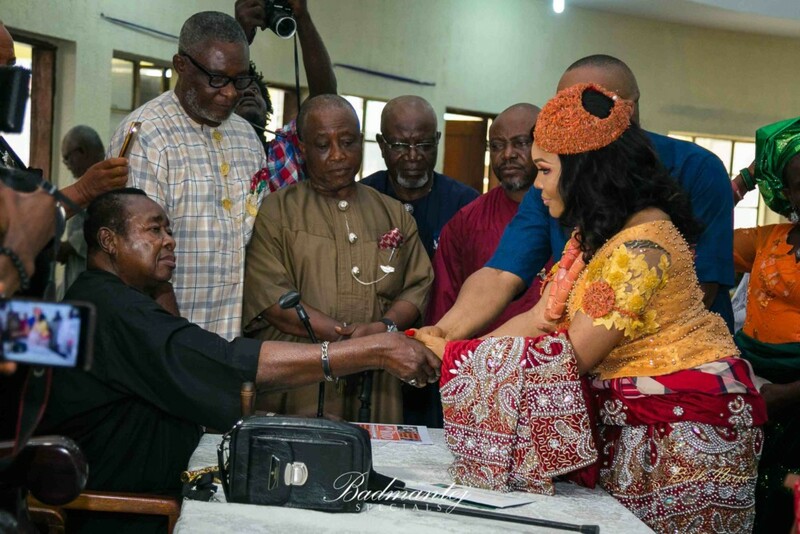 The ceremony was attended by a number of Nollywood faces, alongside friends and family. 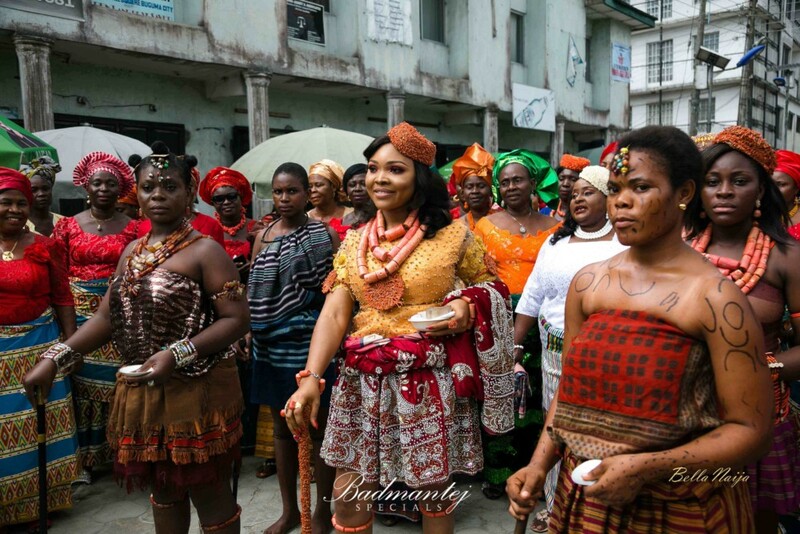 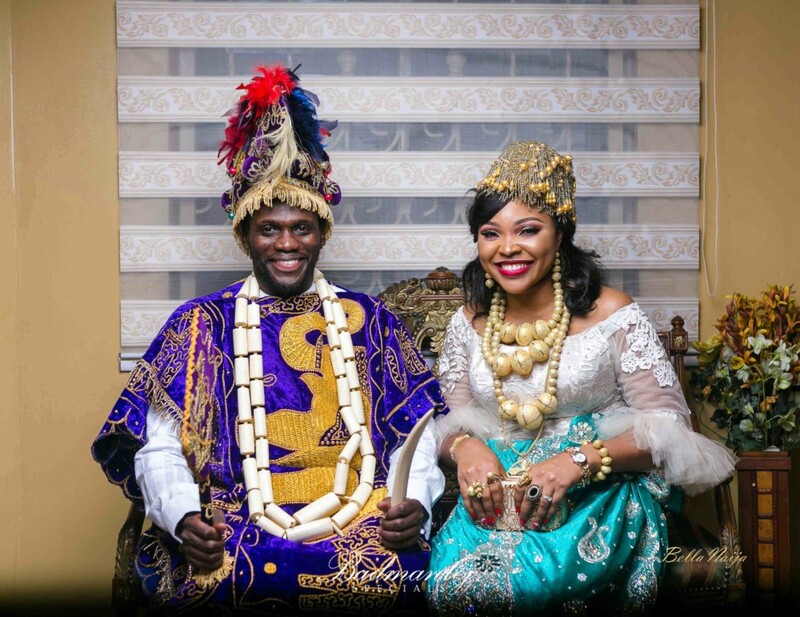 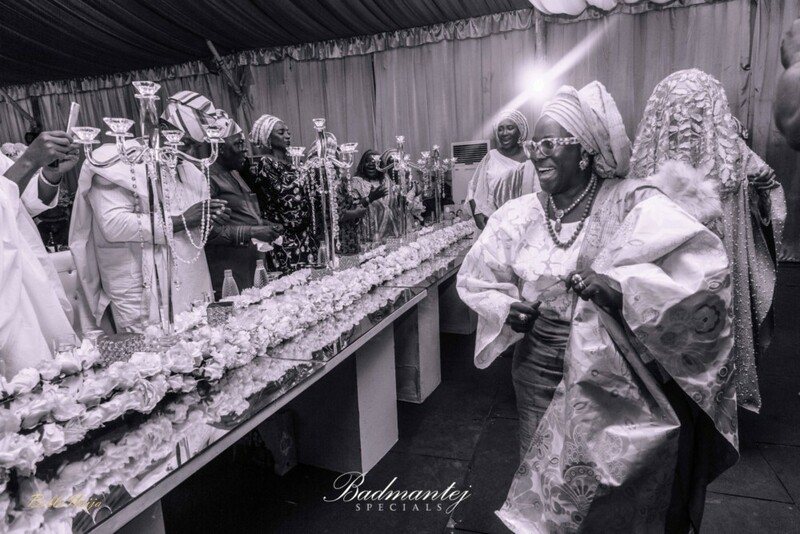 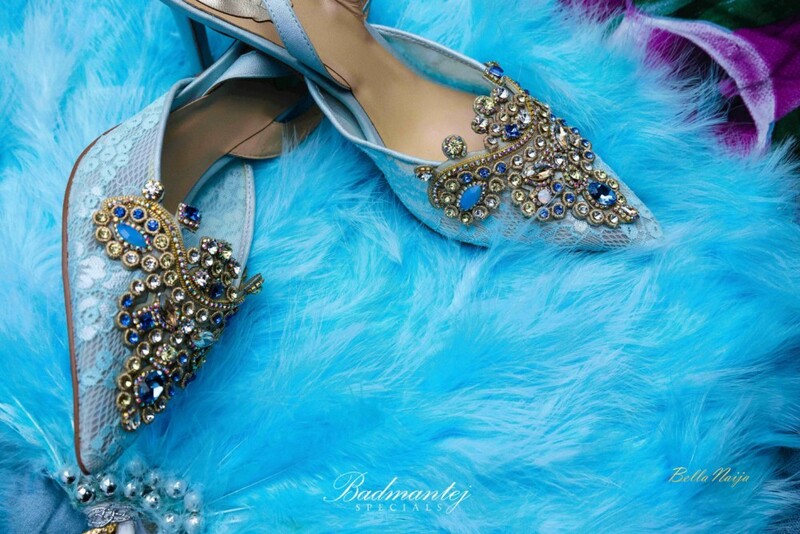 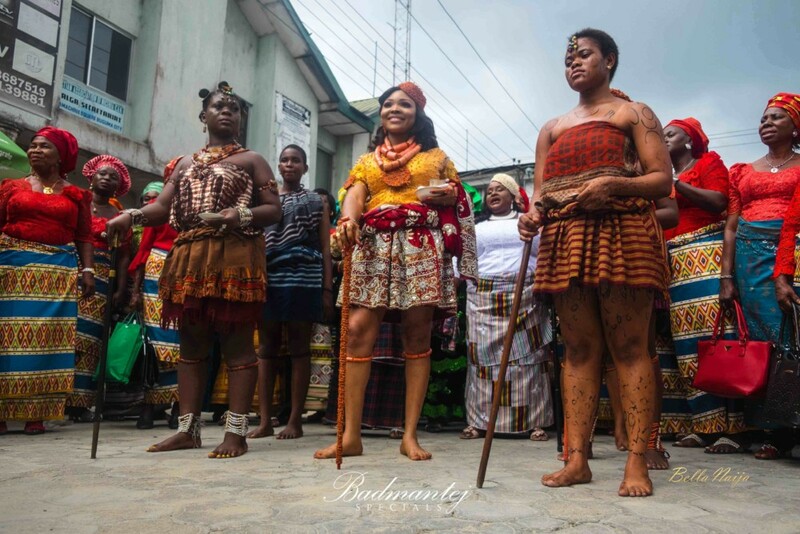 “One of the most beautiful cultural weddings in Nigeria is of the Kalabari Kingdom. 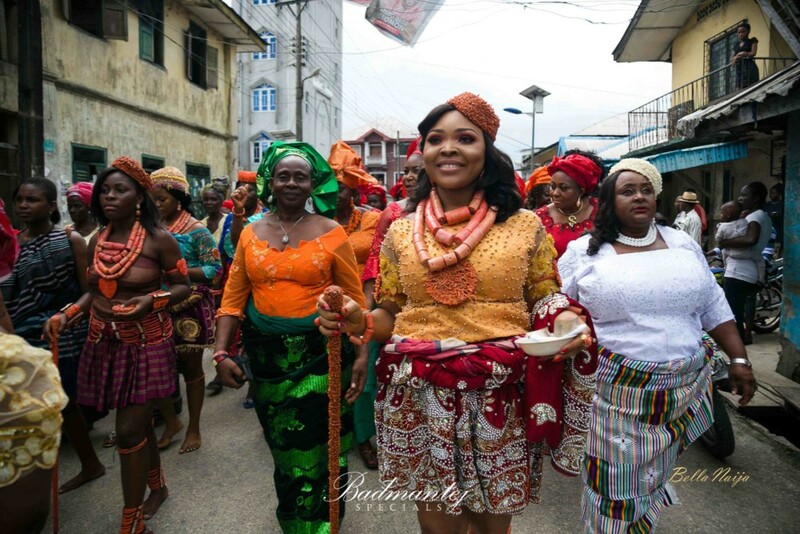 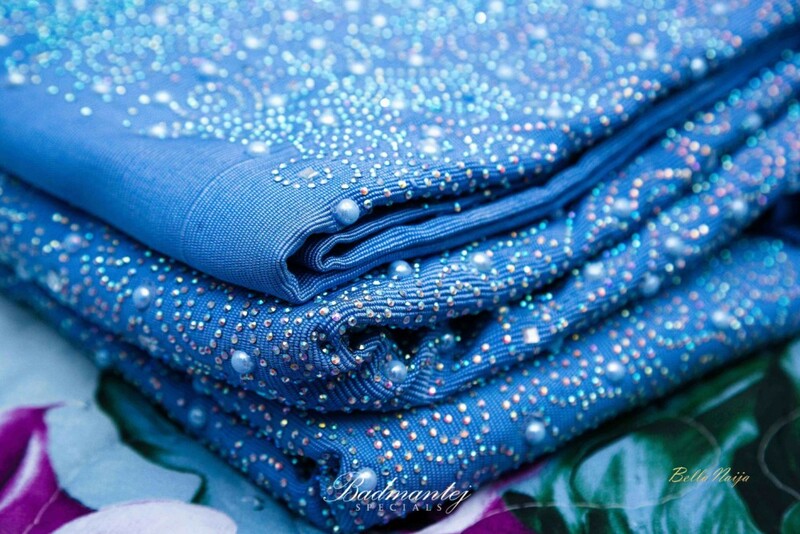 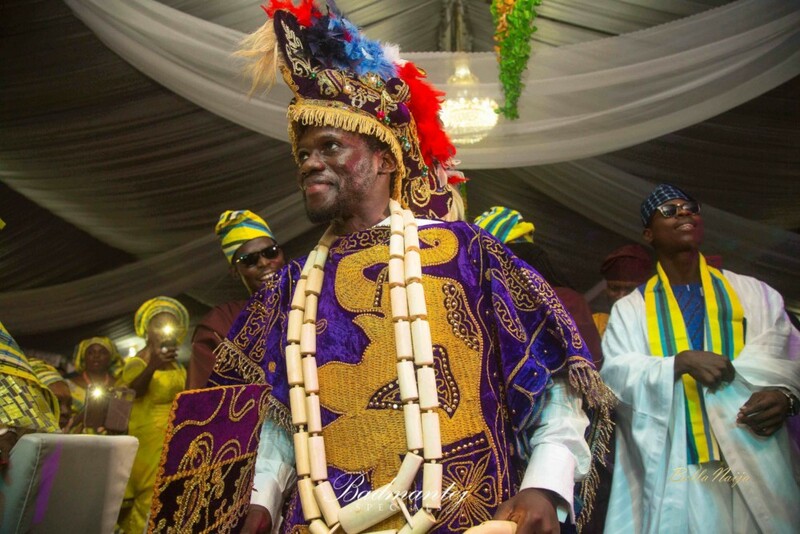 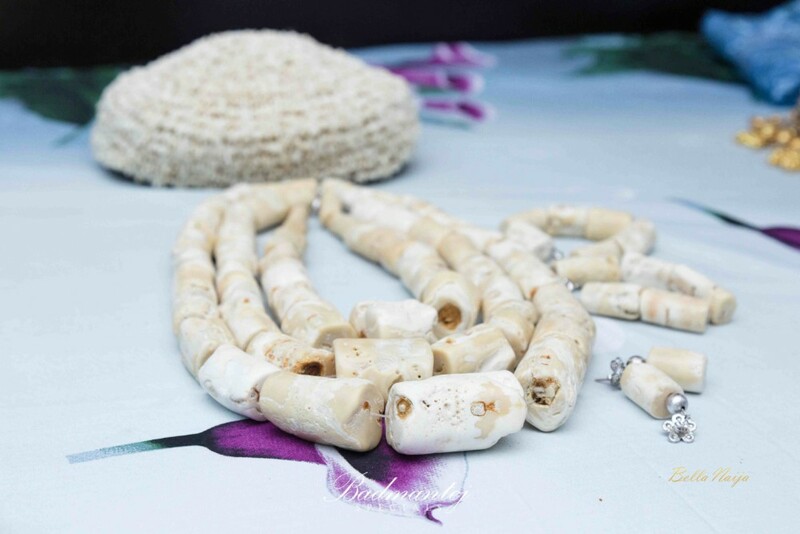 Did you know that they are an Ijaw ethnic group in Rivers, and are the fourth largest ethnic group in Nigeria. 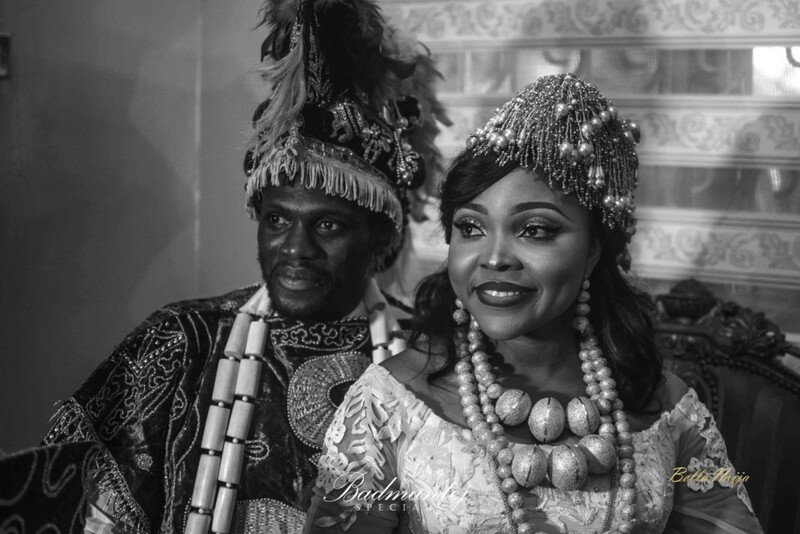 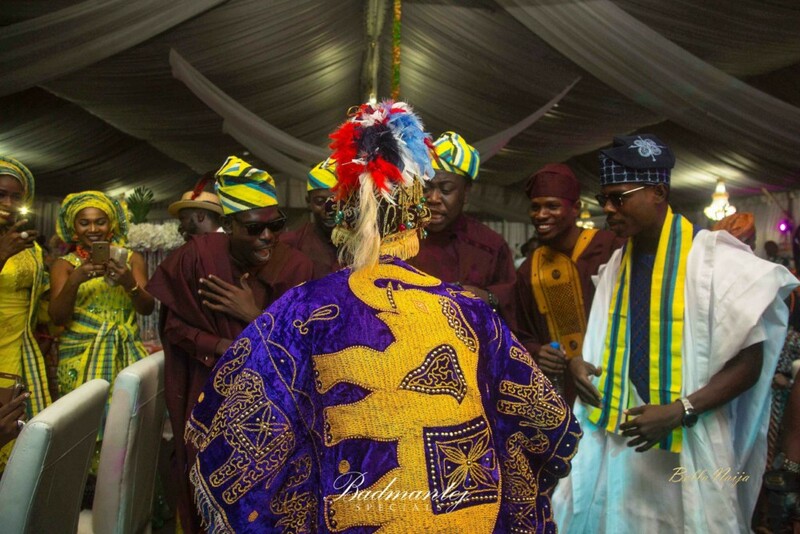 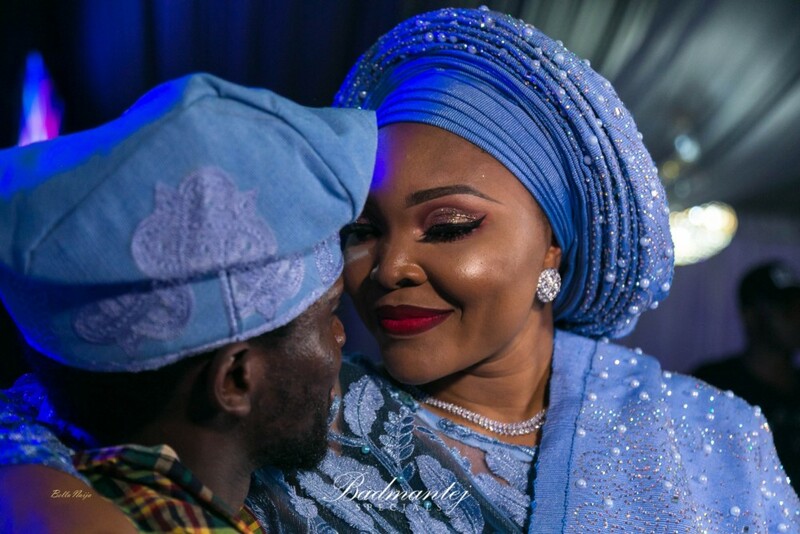 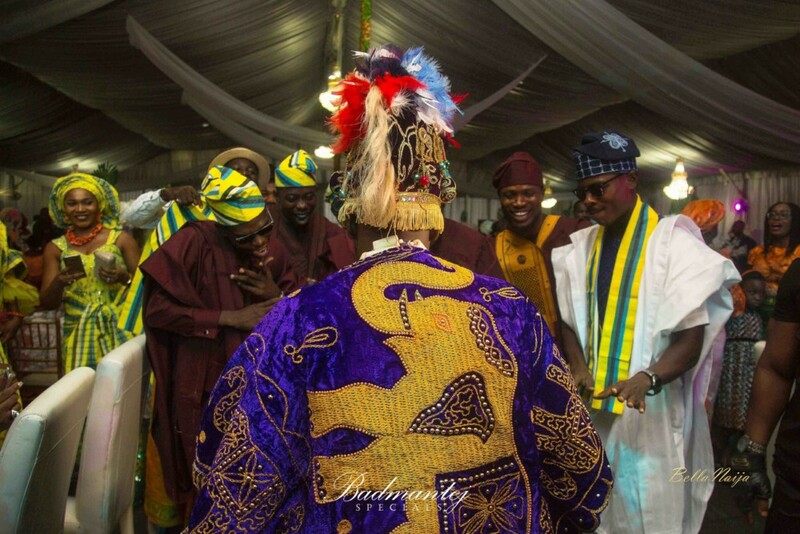 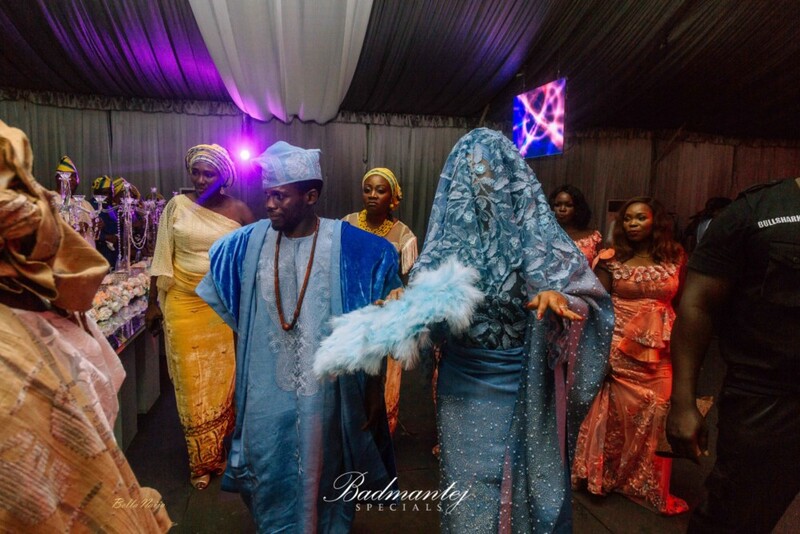 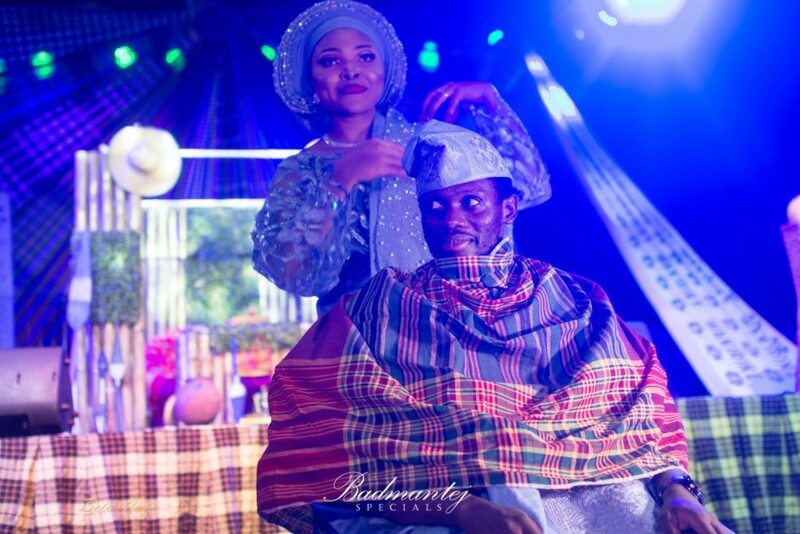 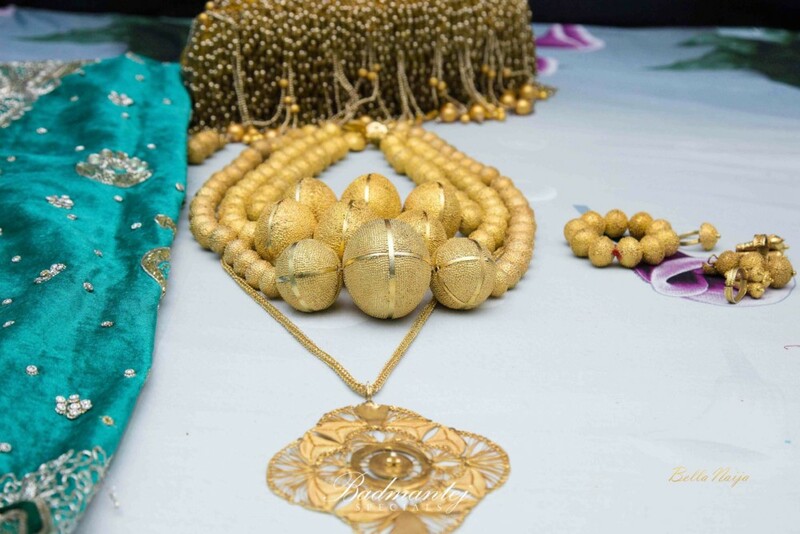 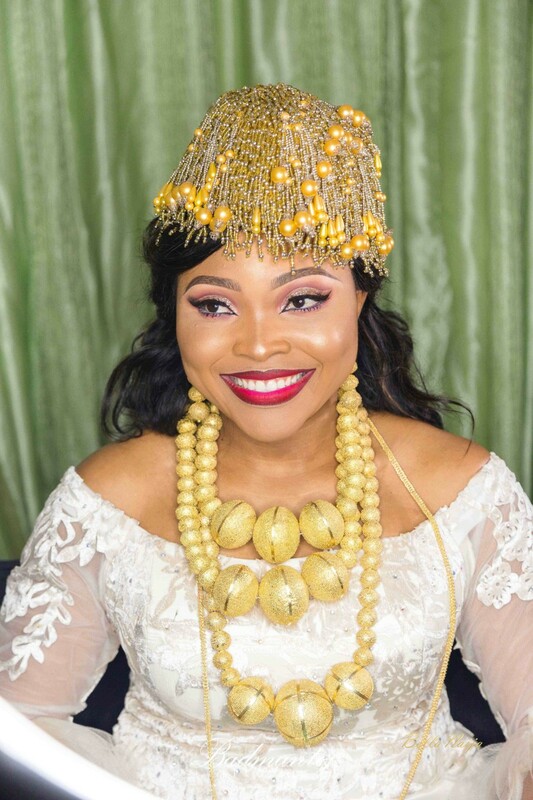 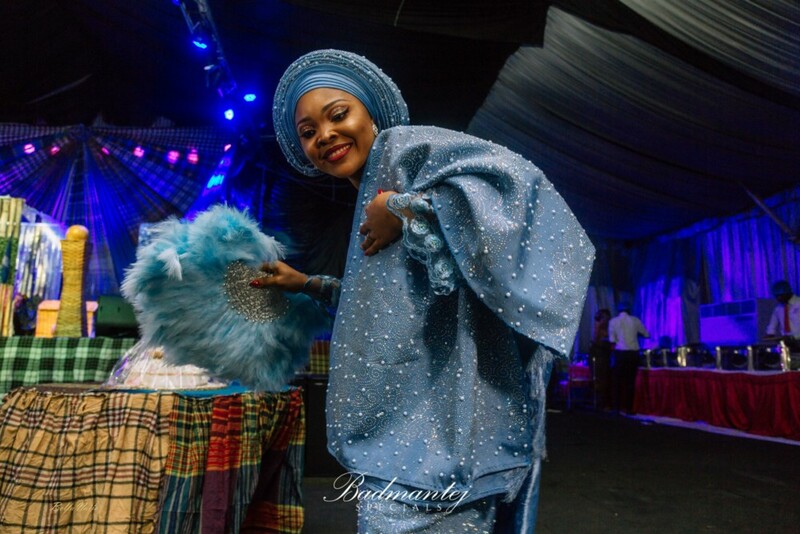 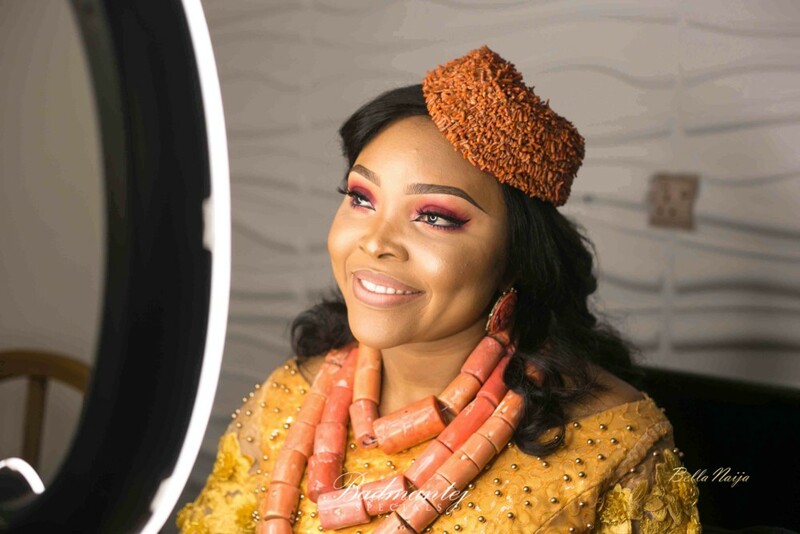 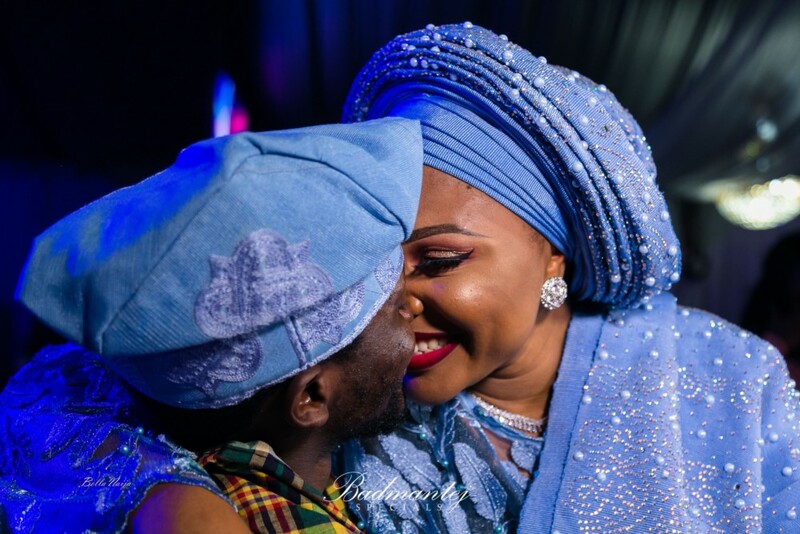 The Kalabari’s have three forms of marriage; IYA, IGWA, and WARIBIOBESIME; we witnessed the rich and colourful IYA as Blessing became Olusoji’s wife. 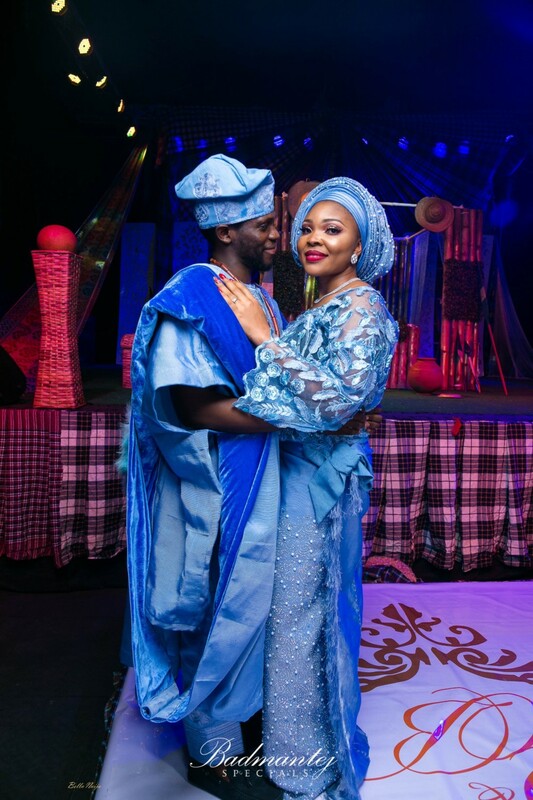 I met Soji at rehearsals at one of his and his parent’s productions called HEARTBEAT the musical (stage play), in 2015. 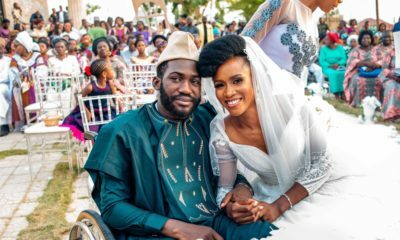 After that rehearsal, we met on several occasions though work-related, I was working with his mum, Ajoke Silva, we began to talk and from then on, our friendship grew stronger and we became closer. 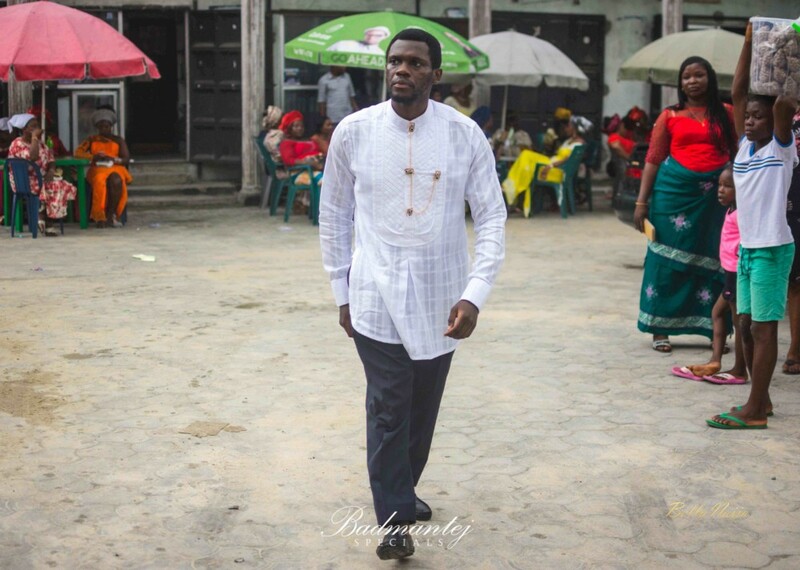 Towards the end of 2017, I rounded off my NYSC and had to travel to the US for work. 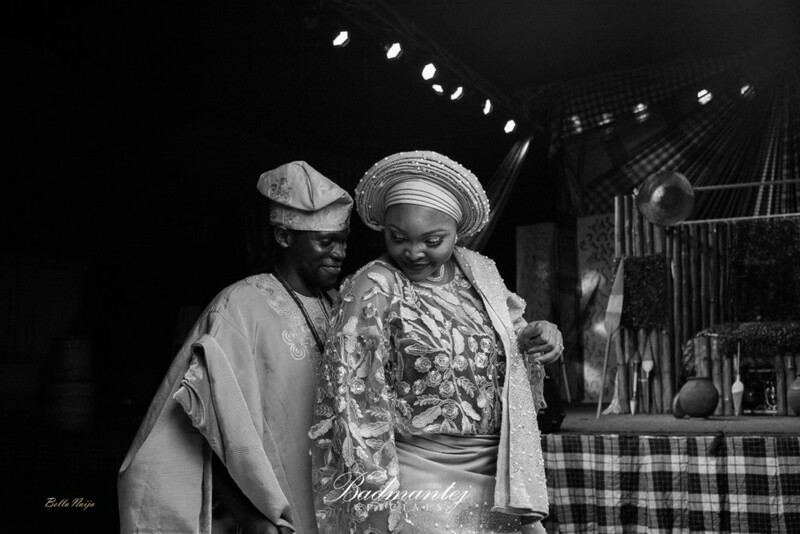 Then it dawned on us, that we had to decide where our friendship was headed and decide what we wanted to do. 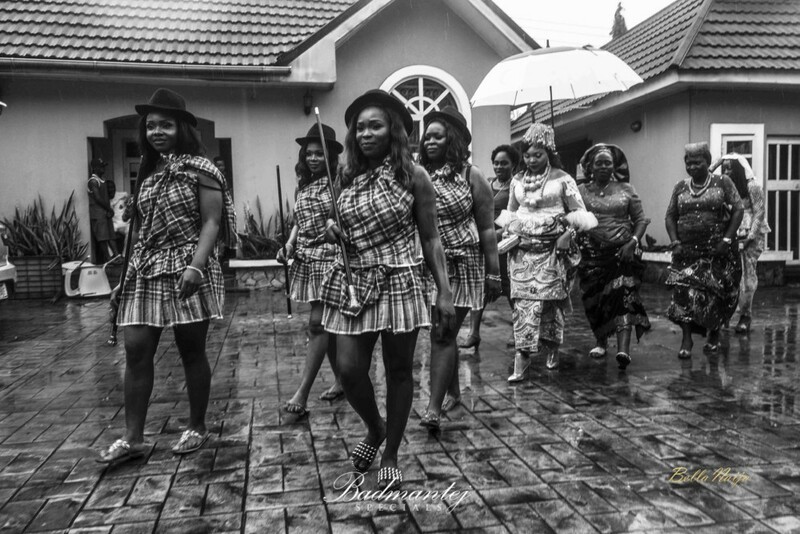 Shortly, before I left, we took one of our fun trips to Osun State to see the Waterfall and Aunty Nike gallery. 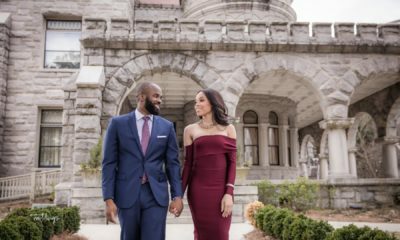 It was on that trip that he proposed and at that time, it was a bittersweet feeling, because I was leaving. 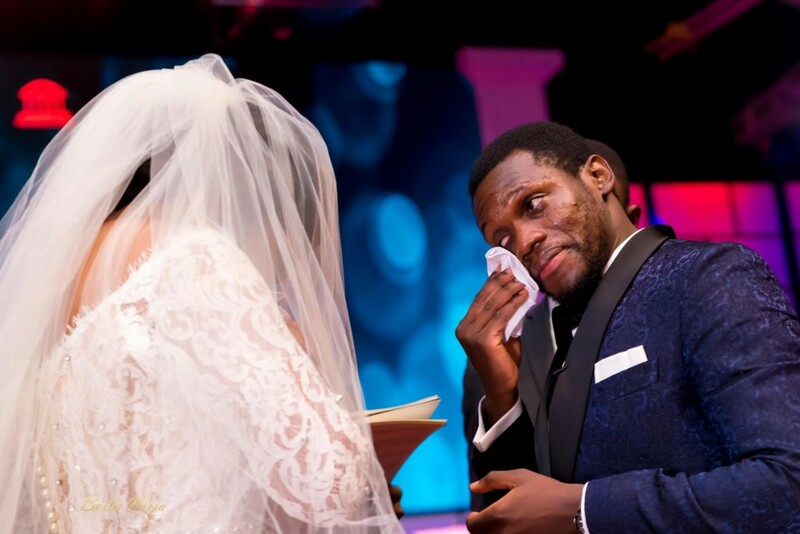 I left for the US for about 5 months, and with amazing communication, and love from friends and family, we pulled through. 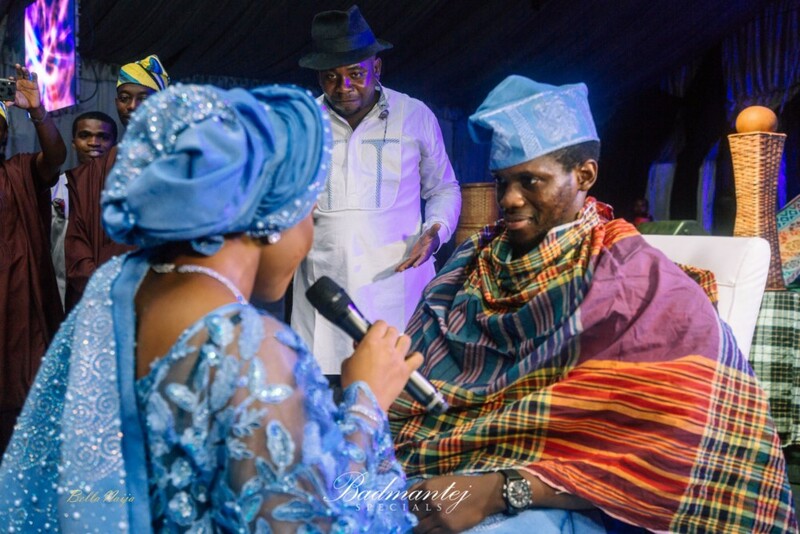 I call Soji my heartbeat because I met him on the set of the heartbeat the musical even though I just went to see a production. 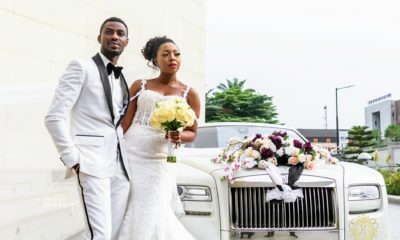 Everything is beautiful, congratulations to them wish them happy married life. 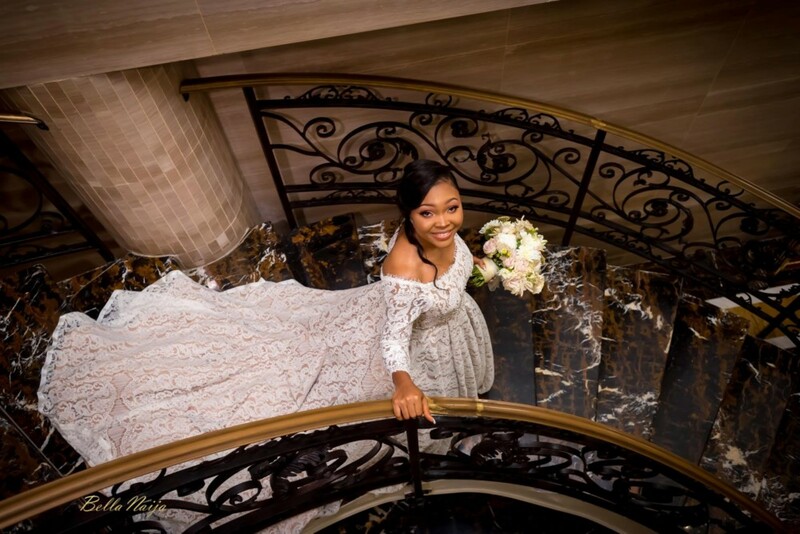 Aww, I love this. 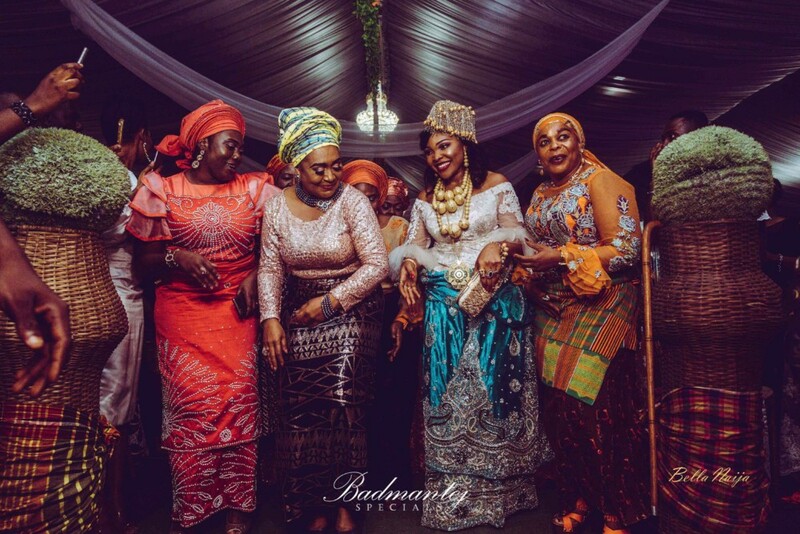 Boma is the luckiest daughter in law in the world.